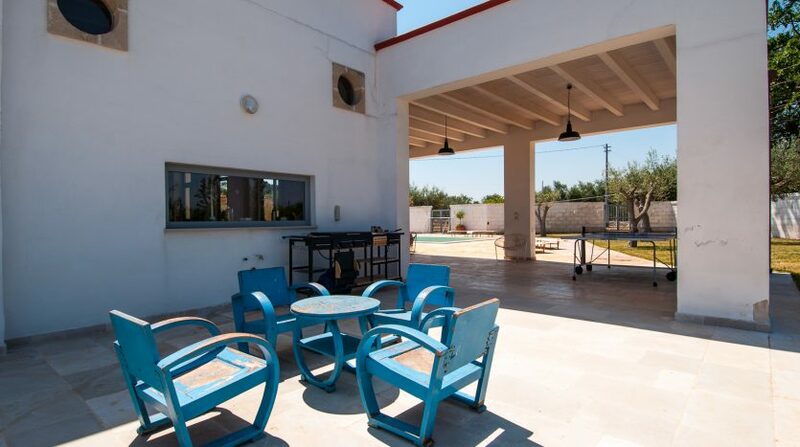 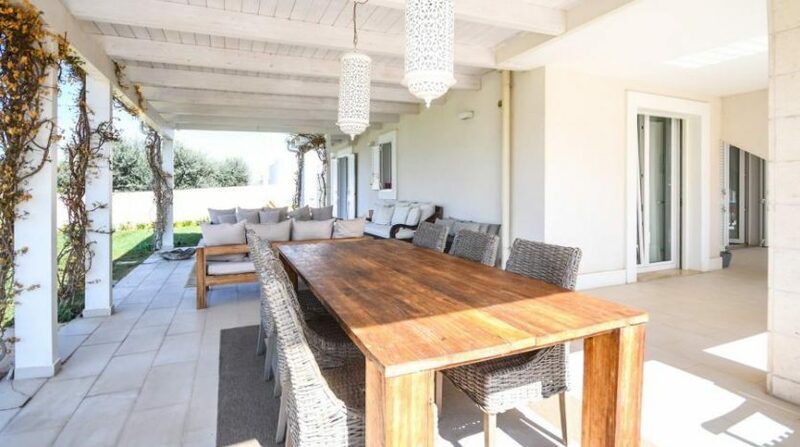 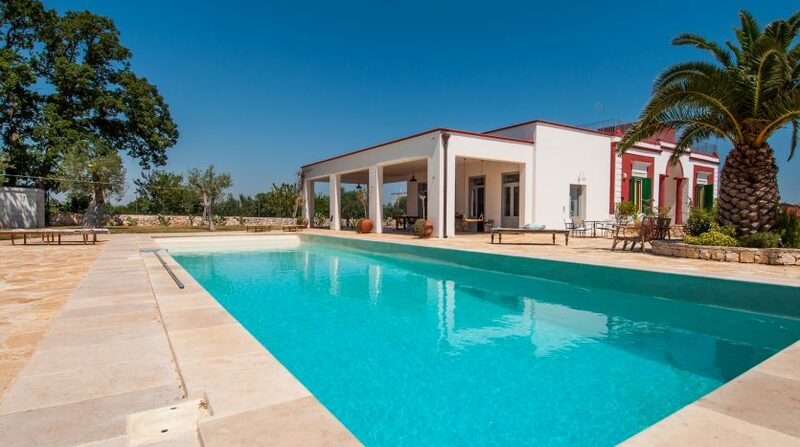 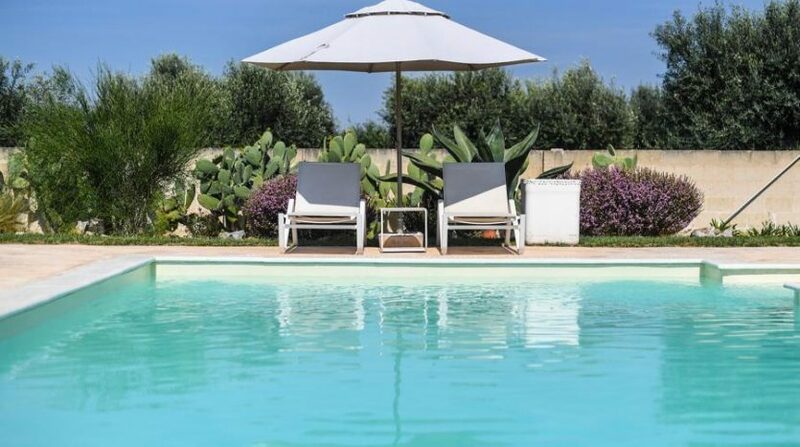 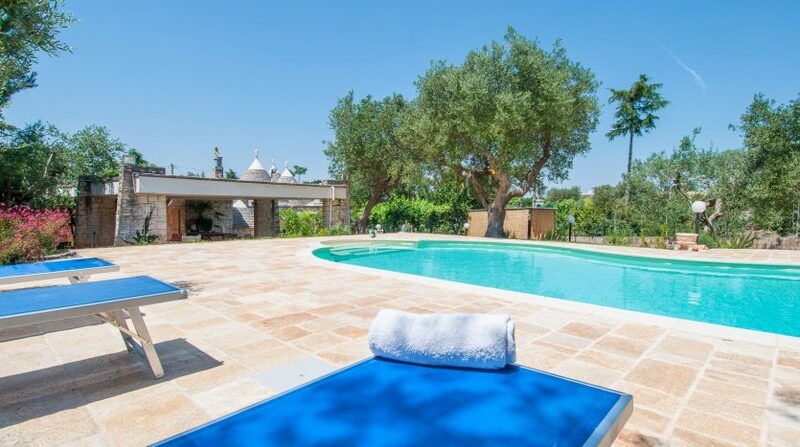 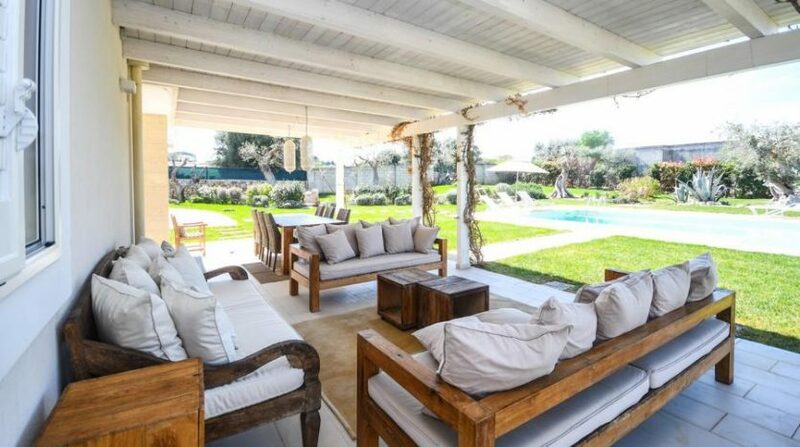 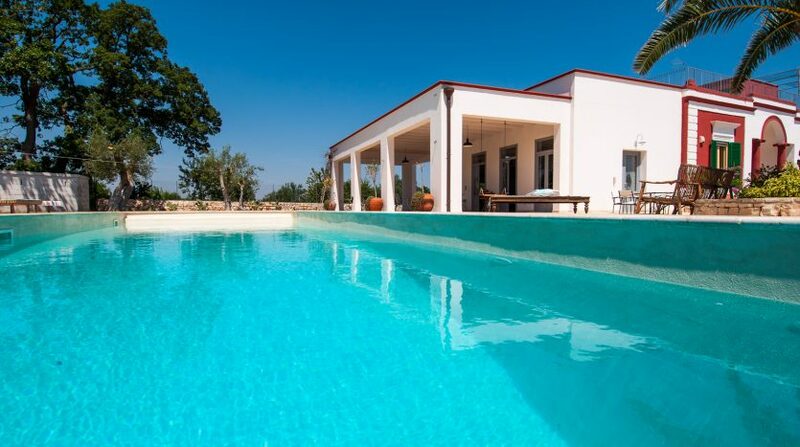 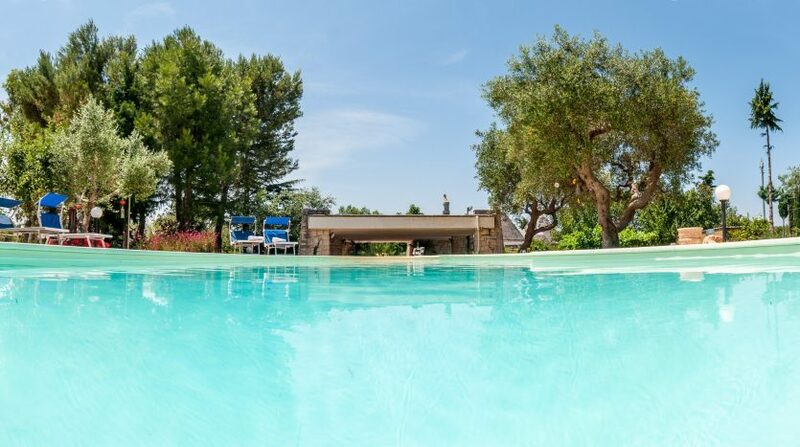 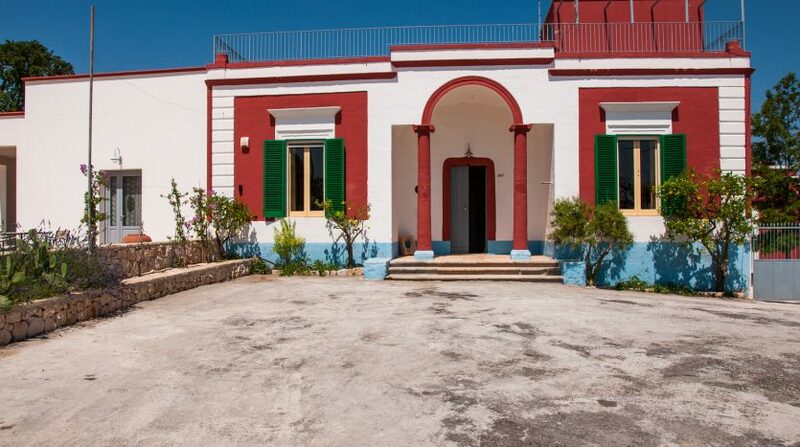 Villa Barbara is a luxury villa with swimming pool located in Monopoli. 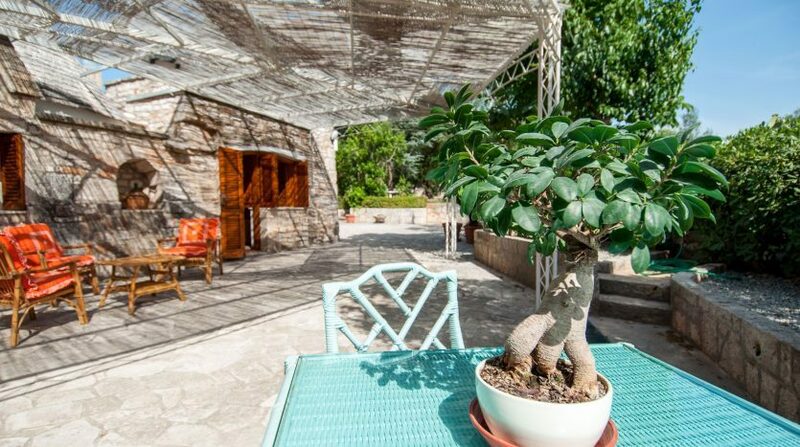 The typical structure and the surrounding nature blend nicely with its modern furniture, which was carefully and elegantly selected. 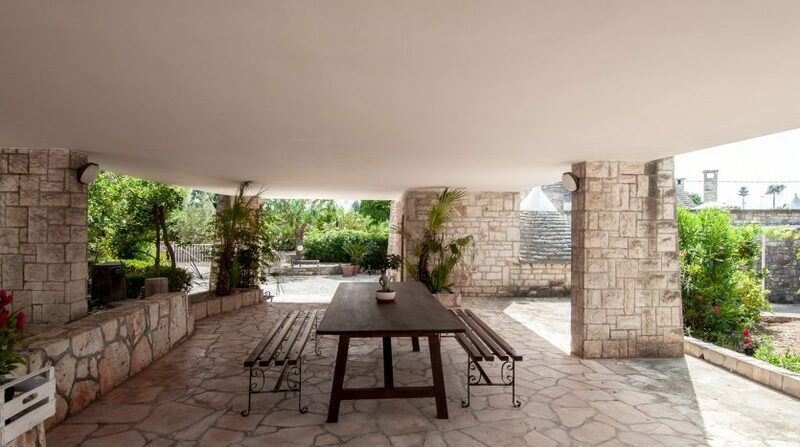 The villa is divided into 4 units, with a total of 5 bathrooms and 7 bedrooms, which allow it to accommodate up to a maximum of 16 people. 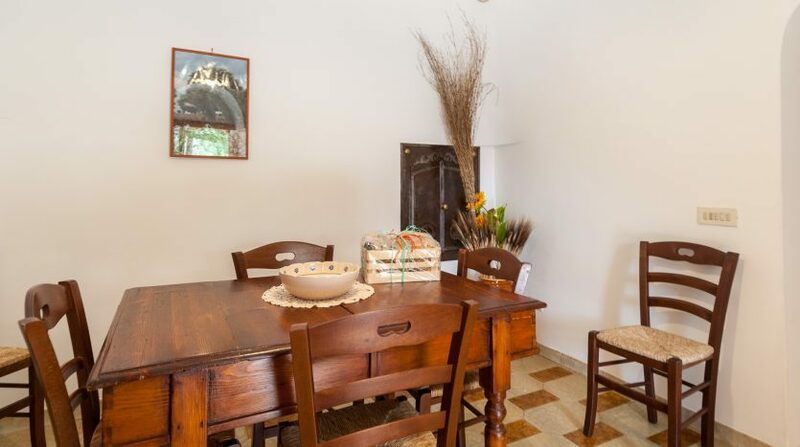 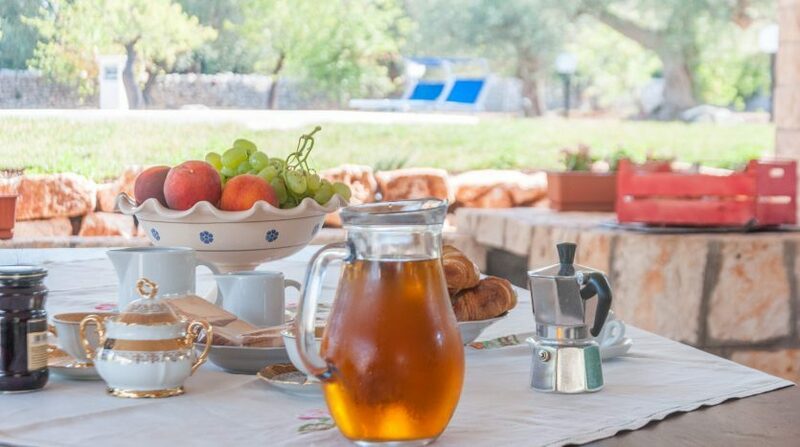 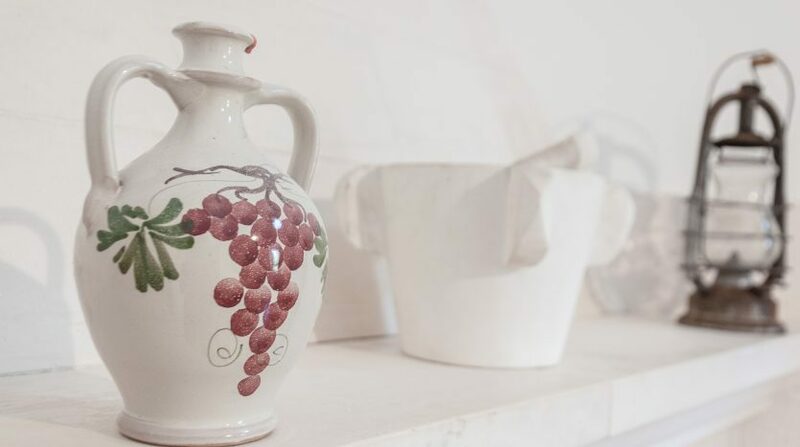 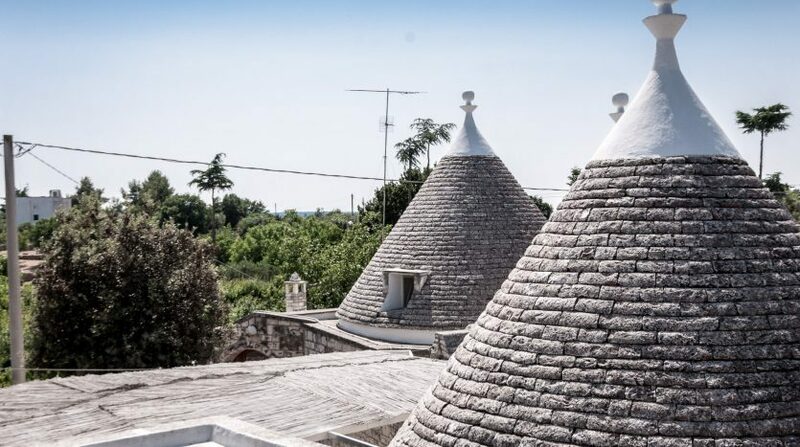 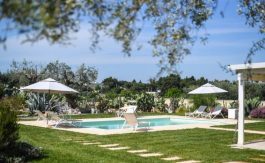 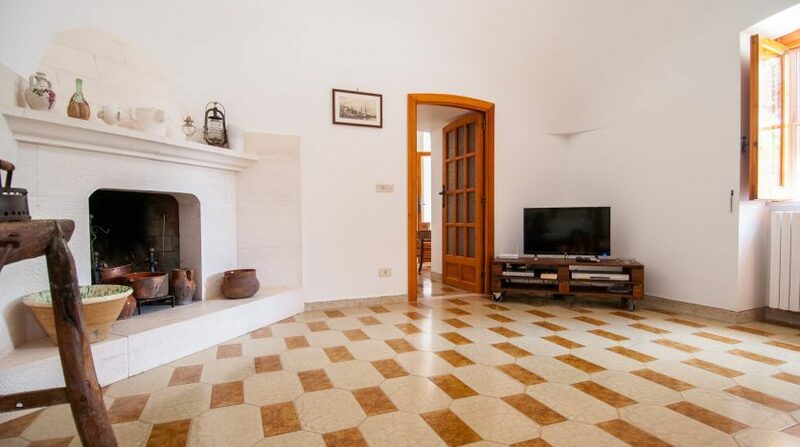 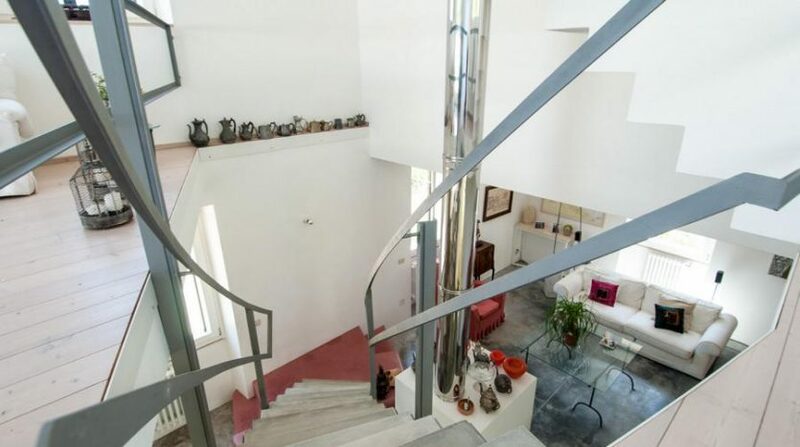 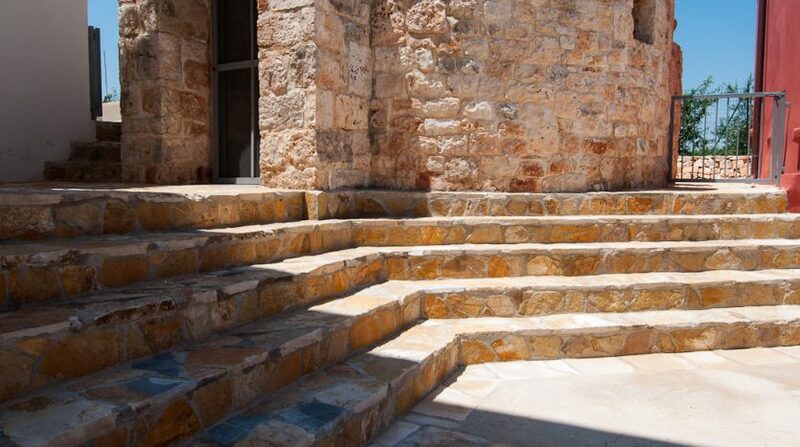 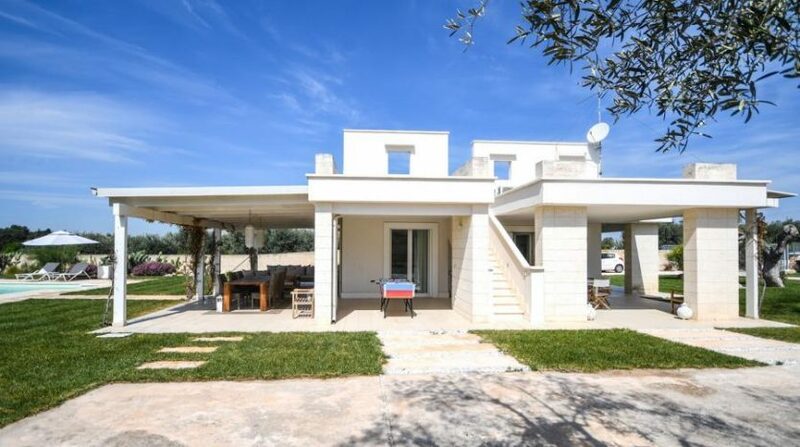 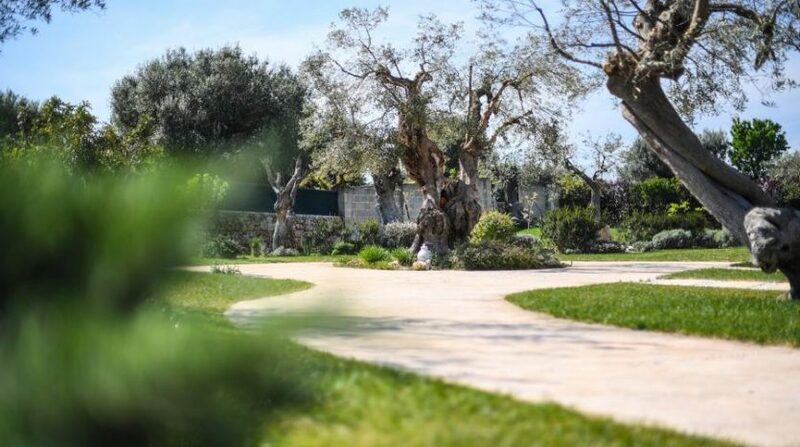 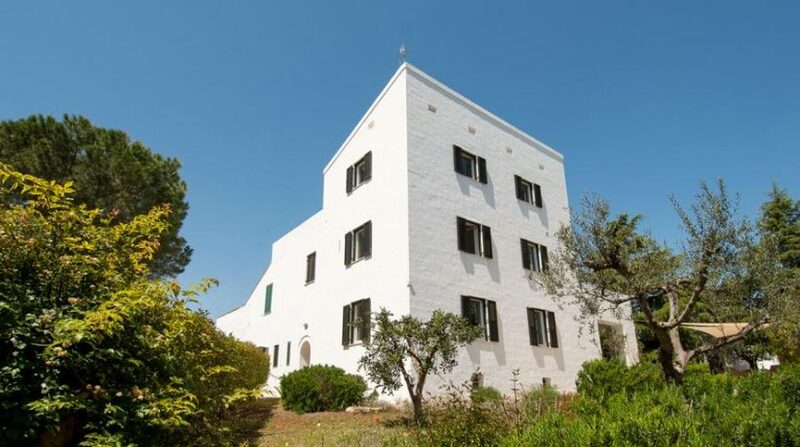 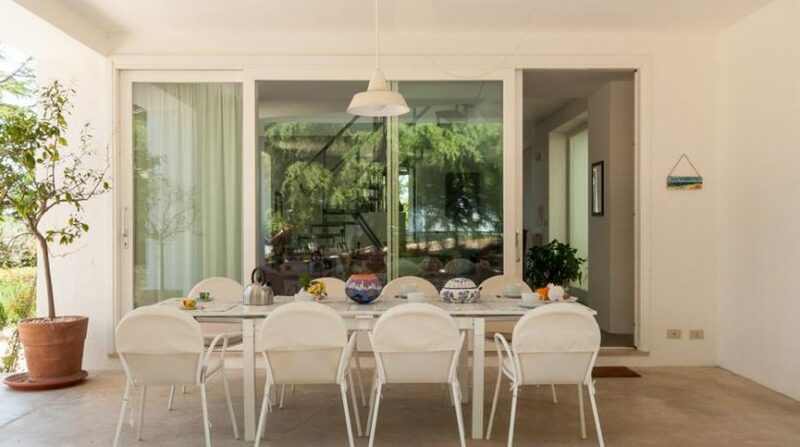 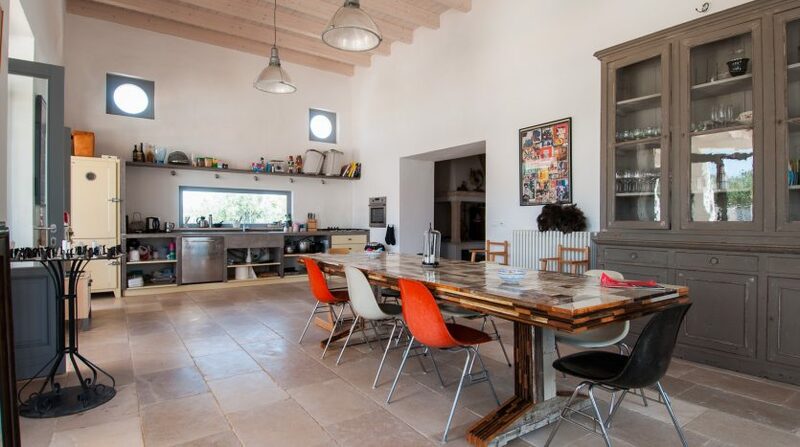 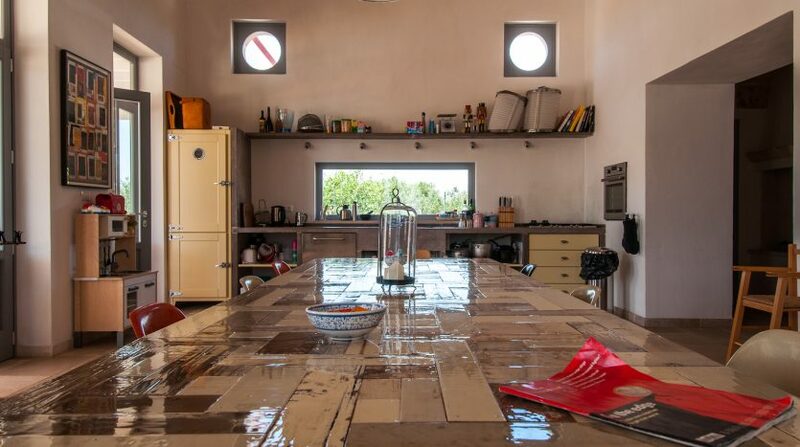 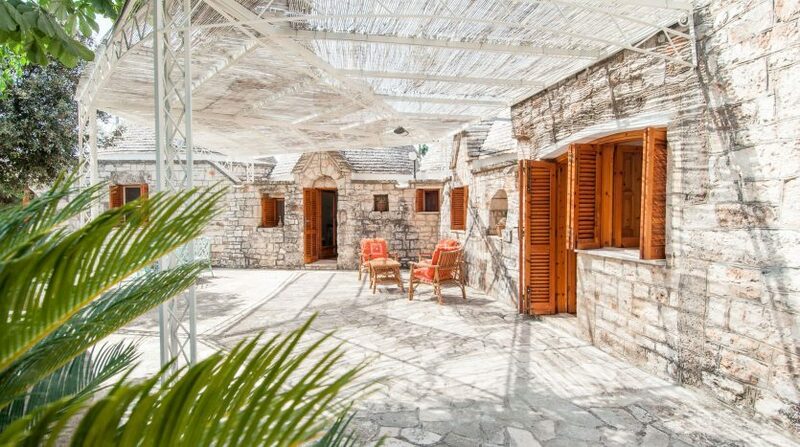 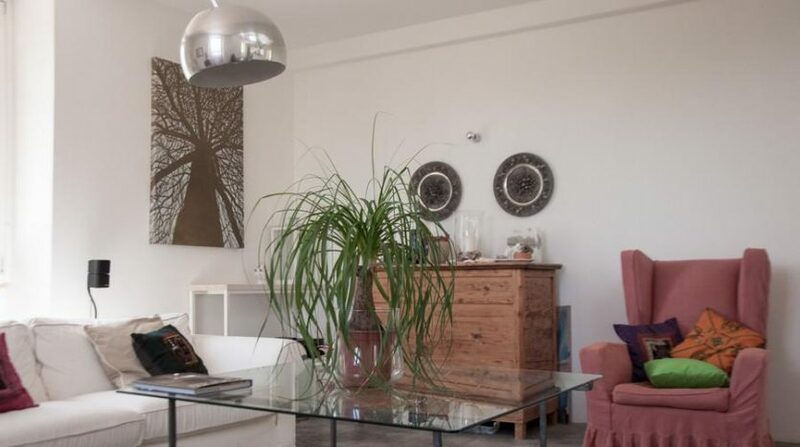 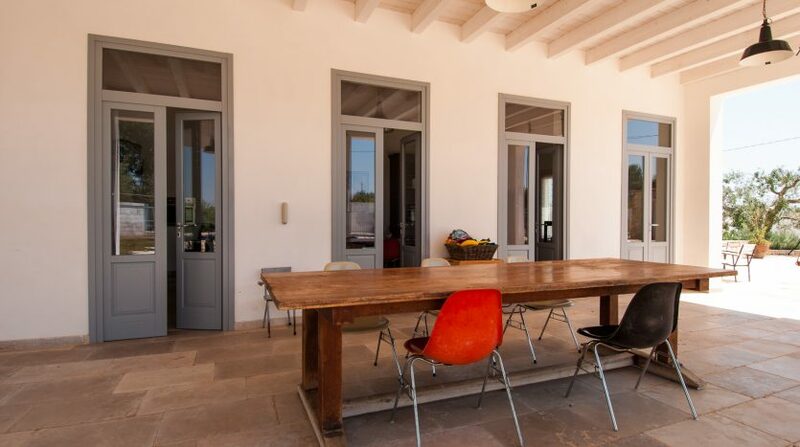 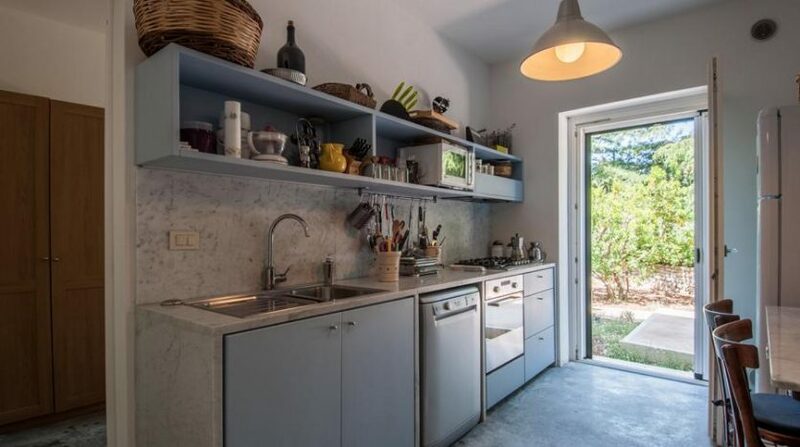 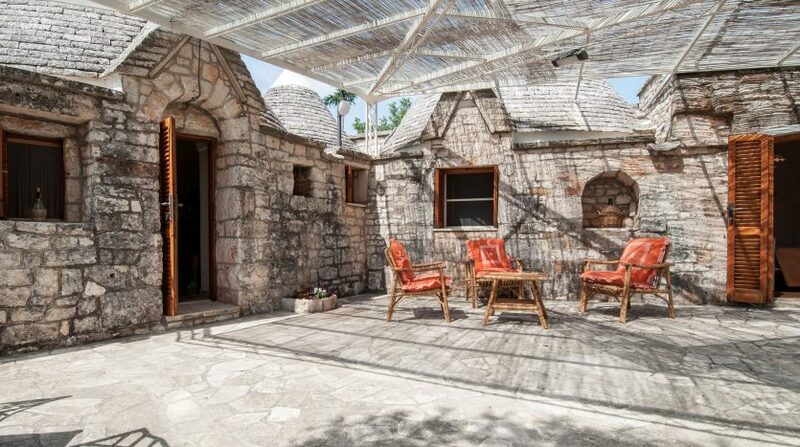 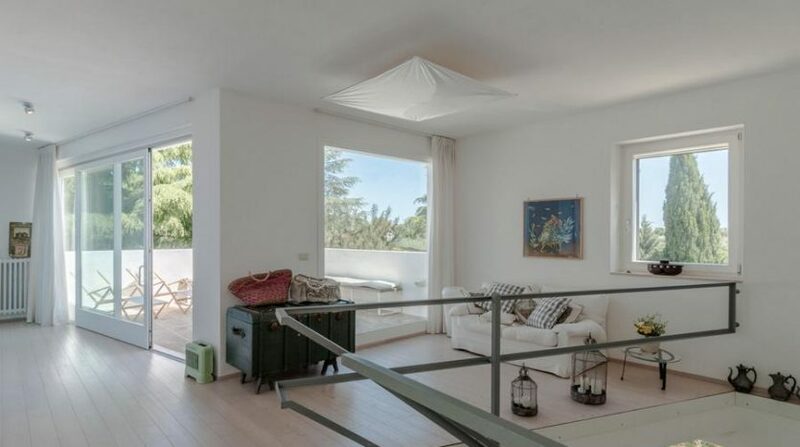 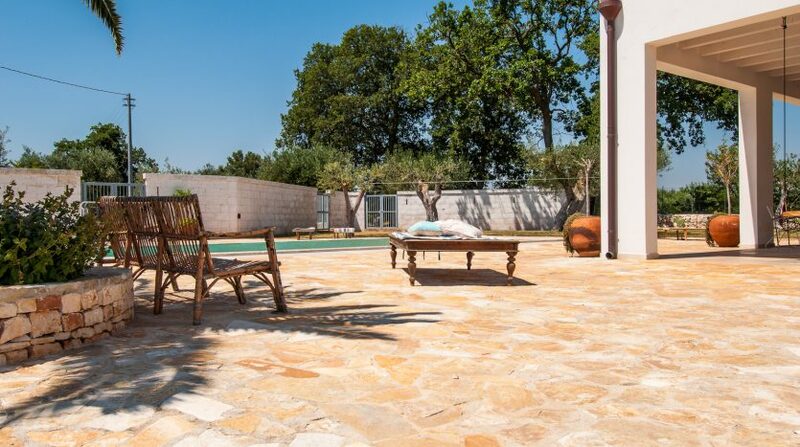 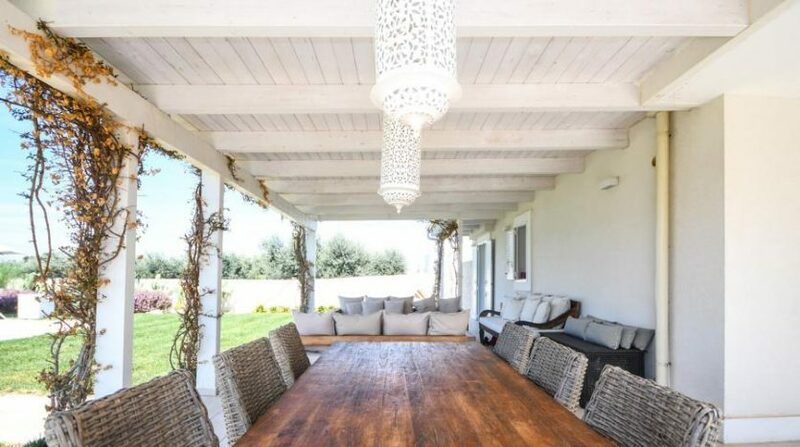 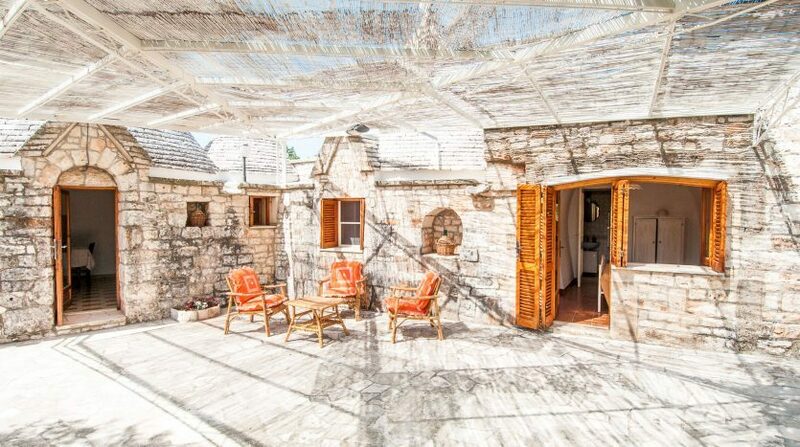 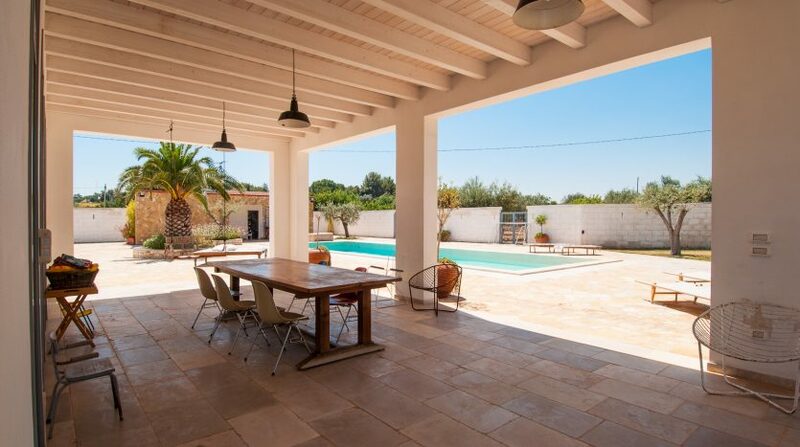 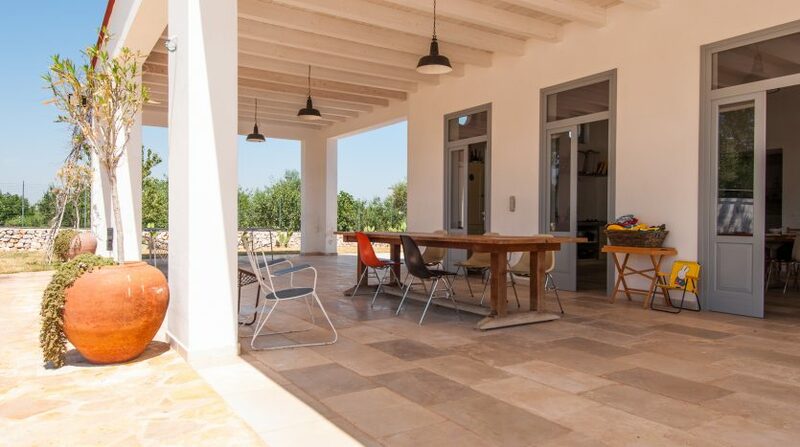 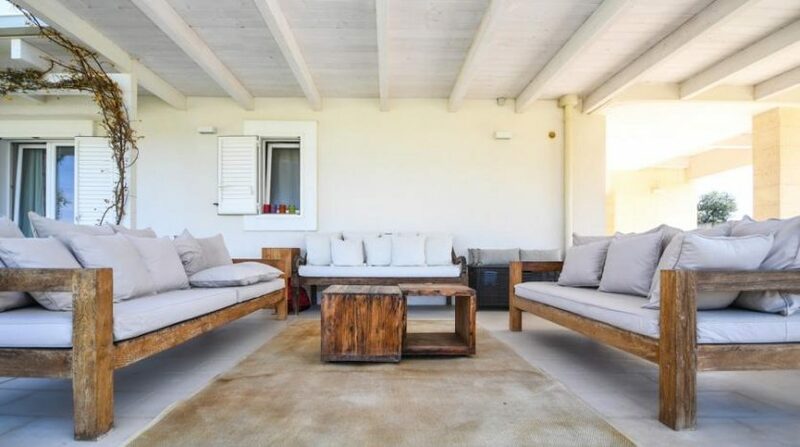 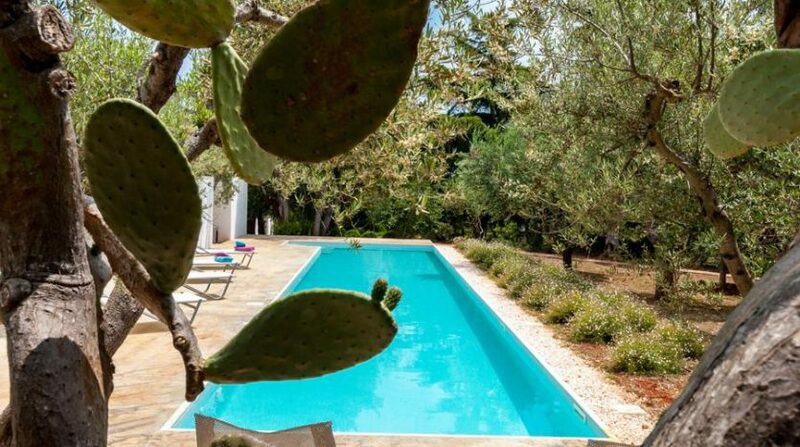 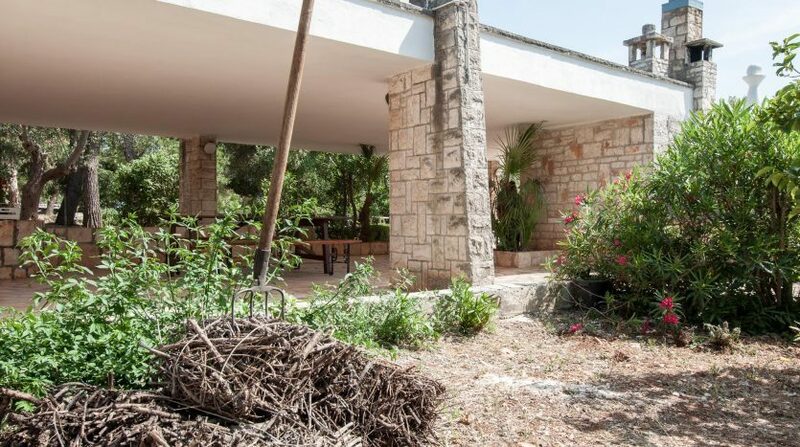 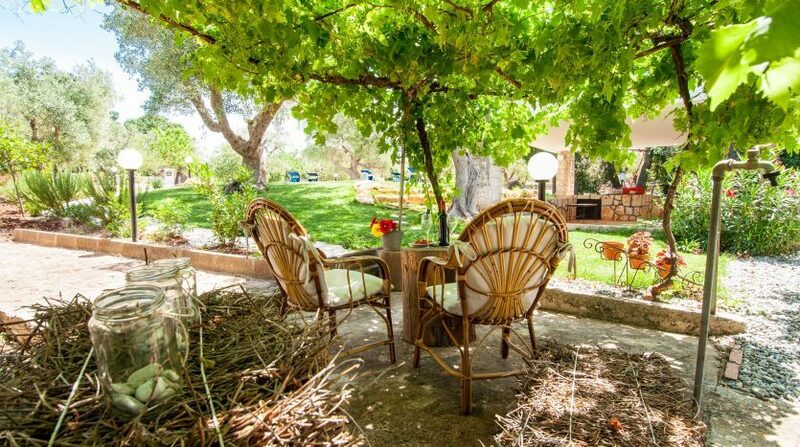 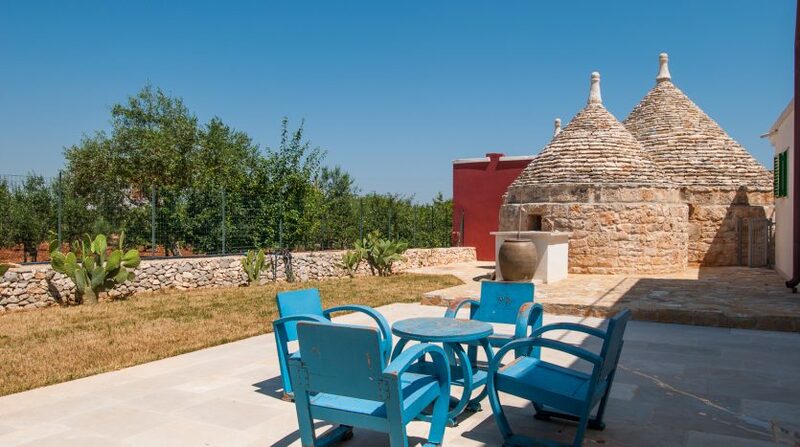 The whole complex consists of: the main house; a Trullo (a traditional Apulian dry stone hut with a conical roof); a Lamia (rural Apulian cottage); and a structure composed of 3 former stables that were converted into suites. 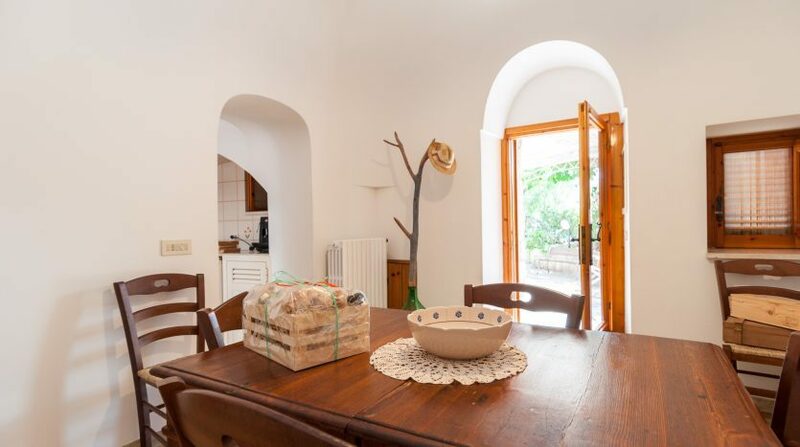 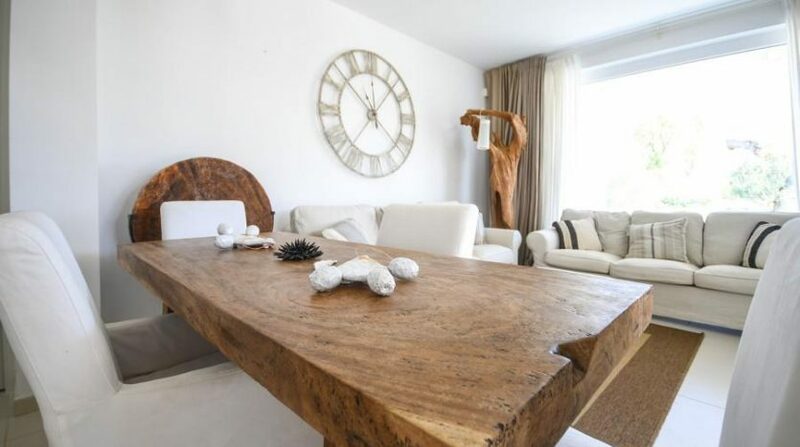 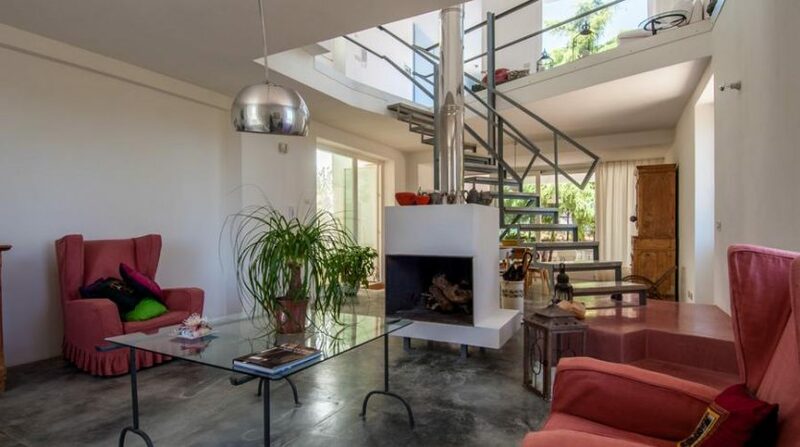 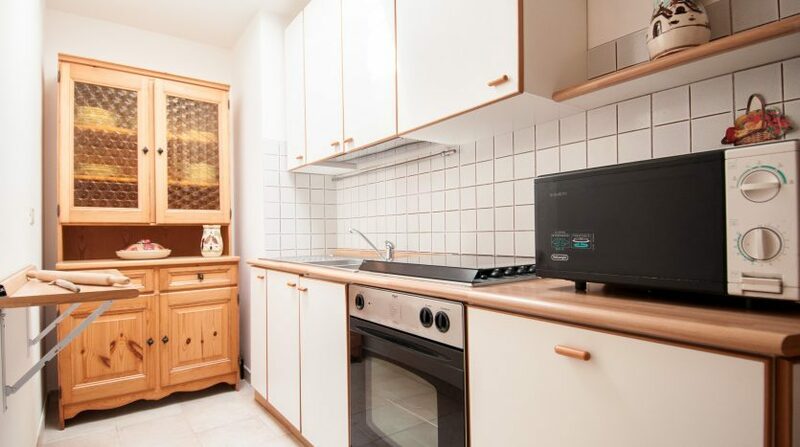 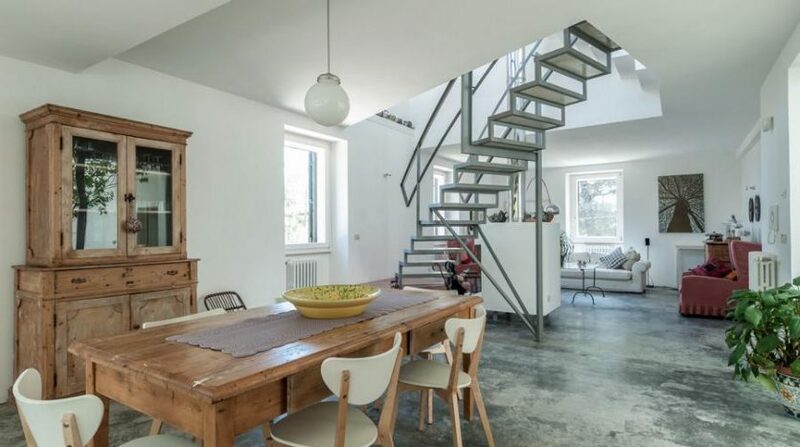 The main house dates from the first half of the 20th Century and consists of a very wide living area with kitchen and fireplace; two double bedrooms and a bathroom with a refined bath in vintage style. 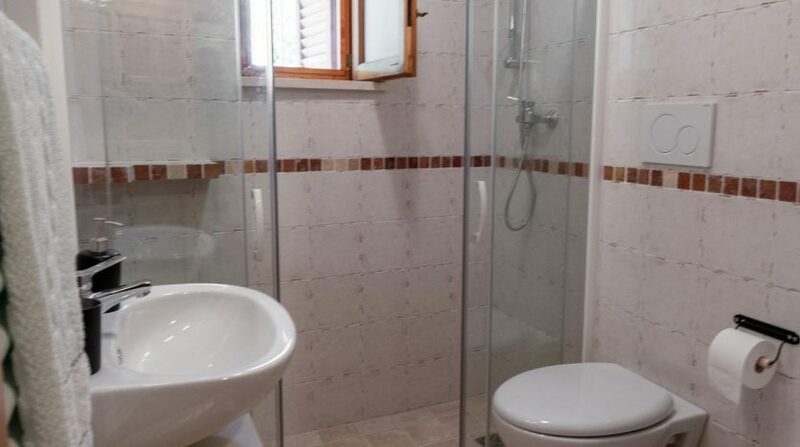 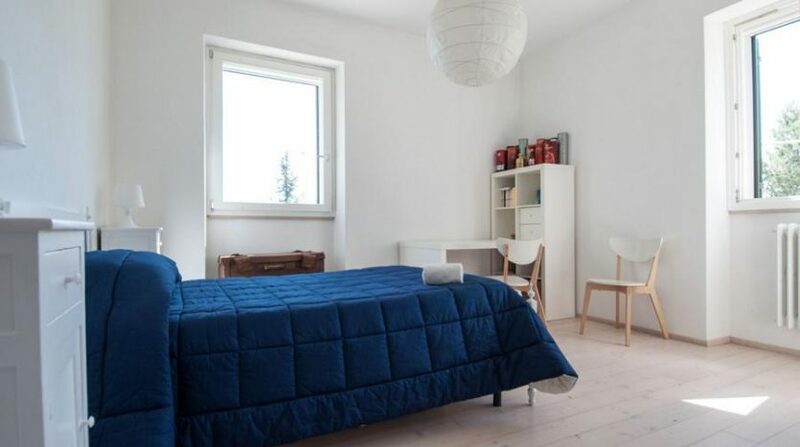 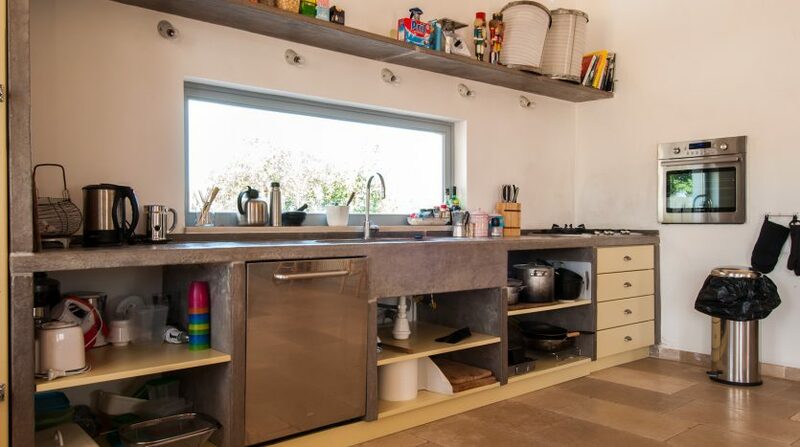 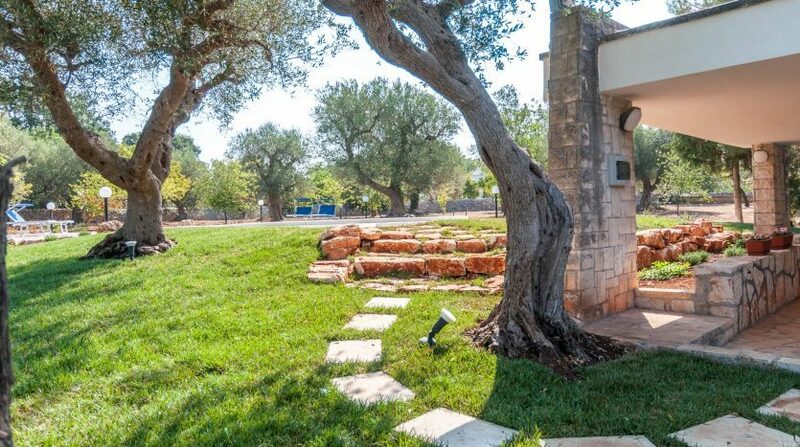 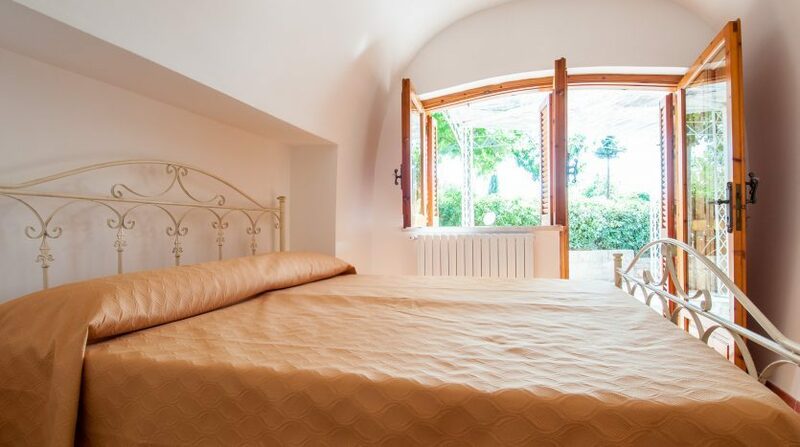 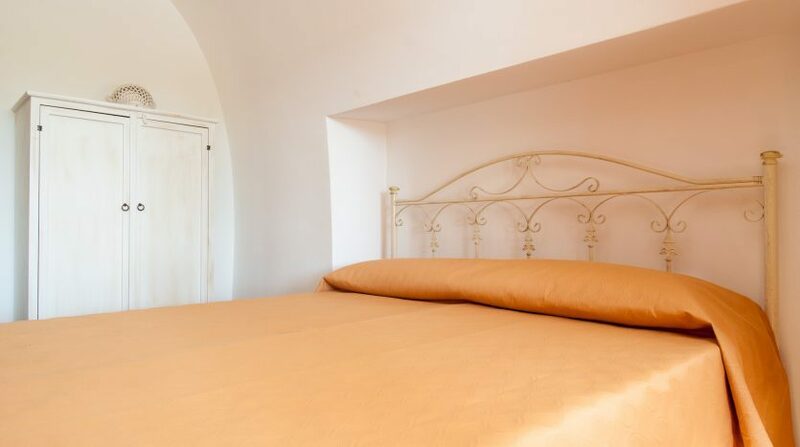 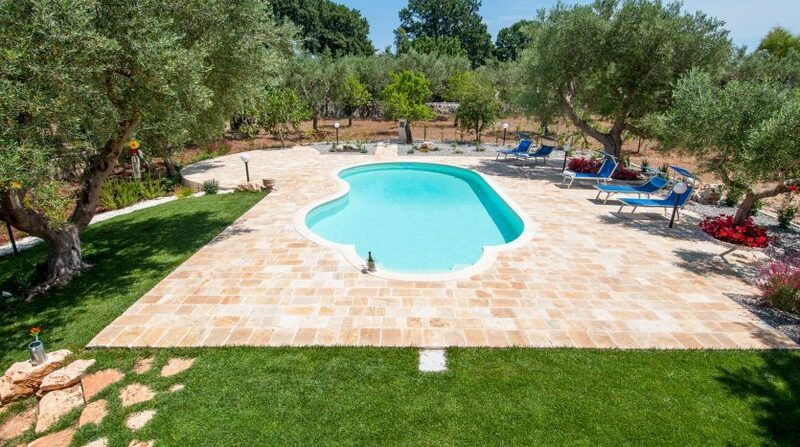 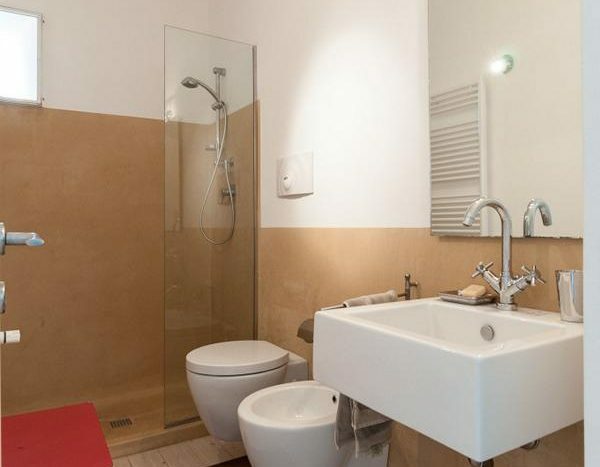 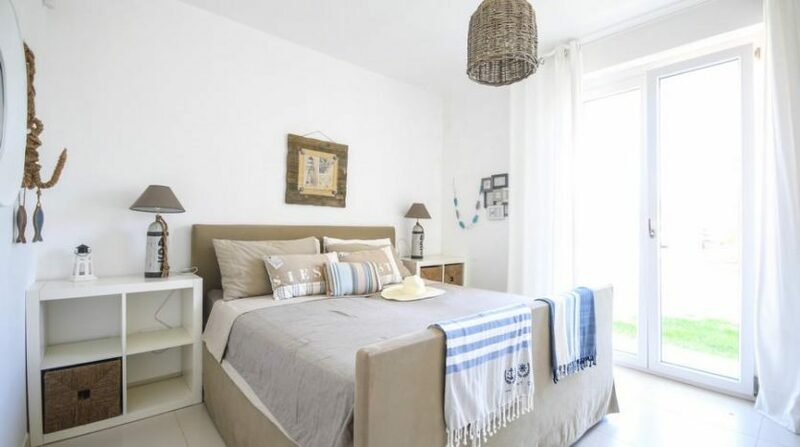 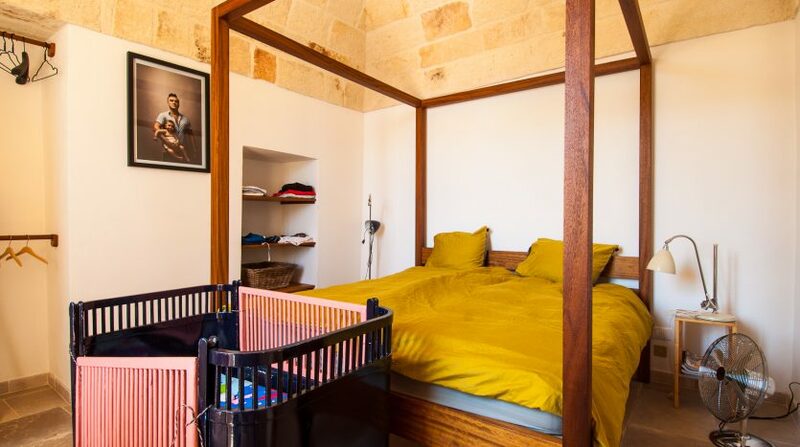 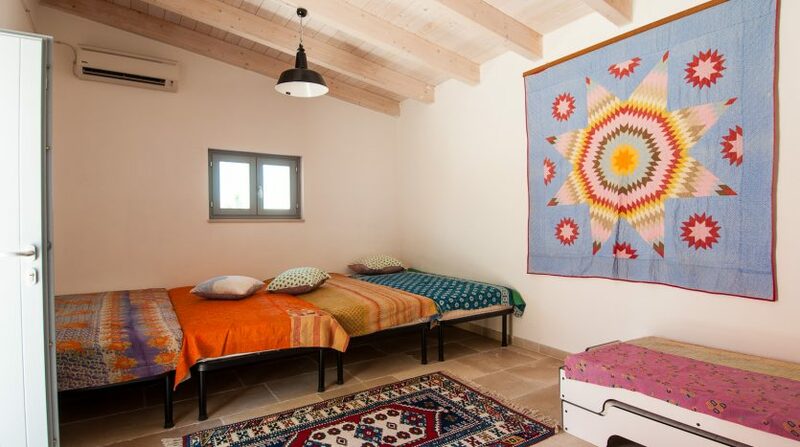 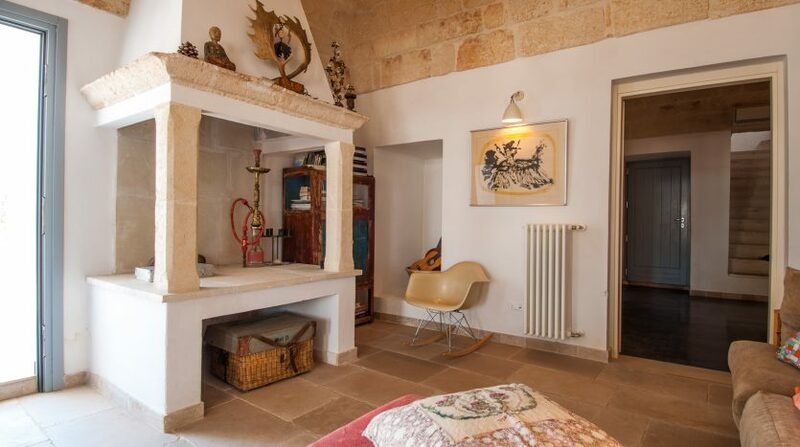 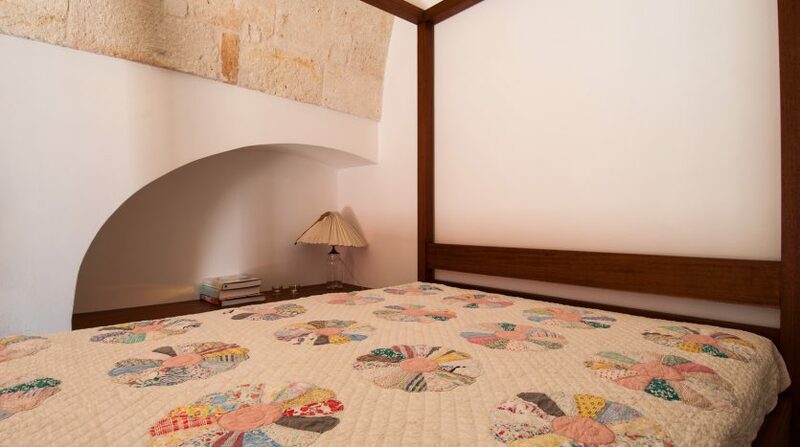 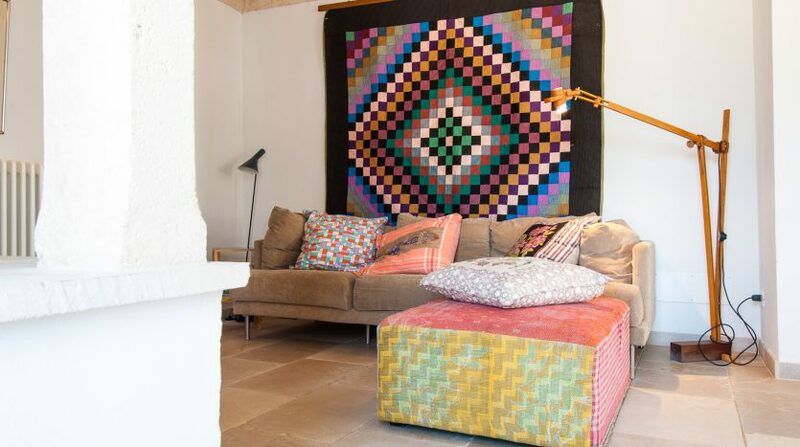 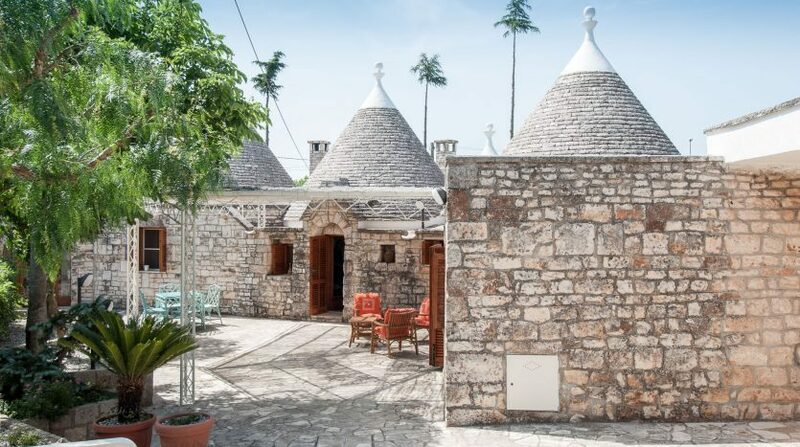 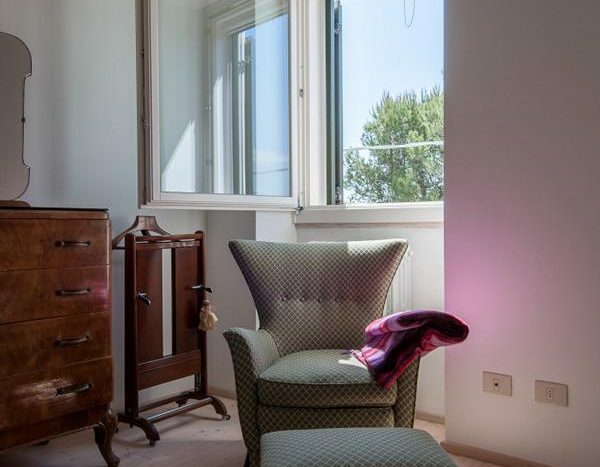 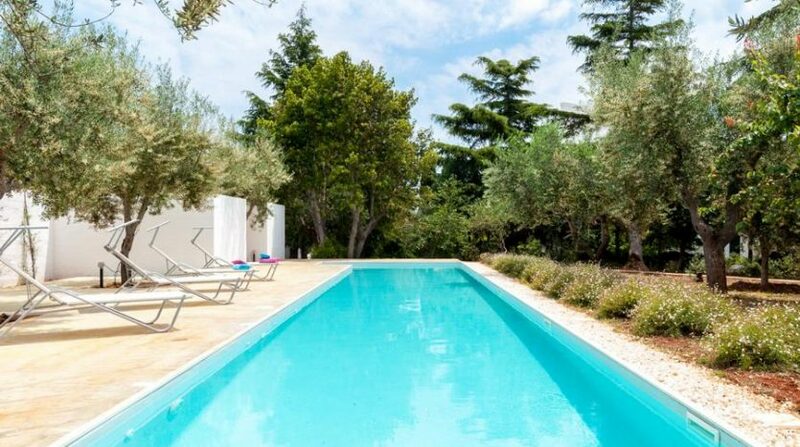 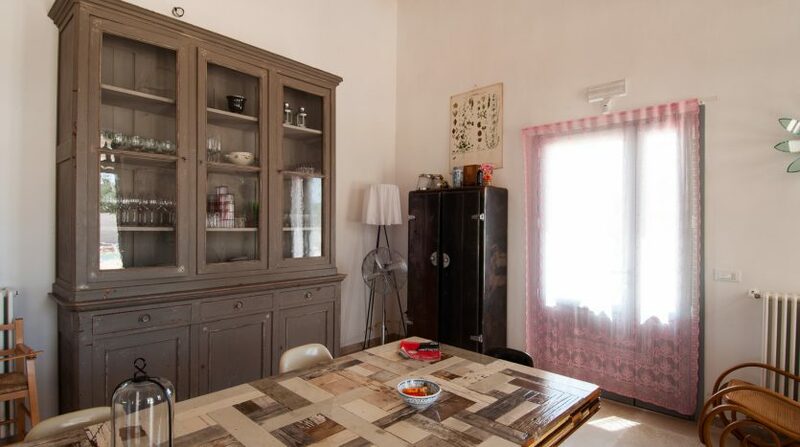 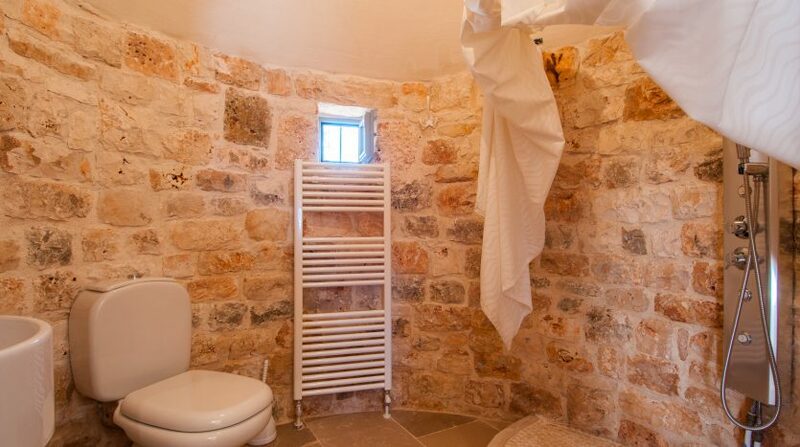 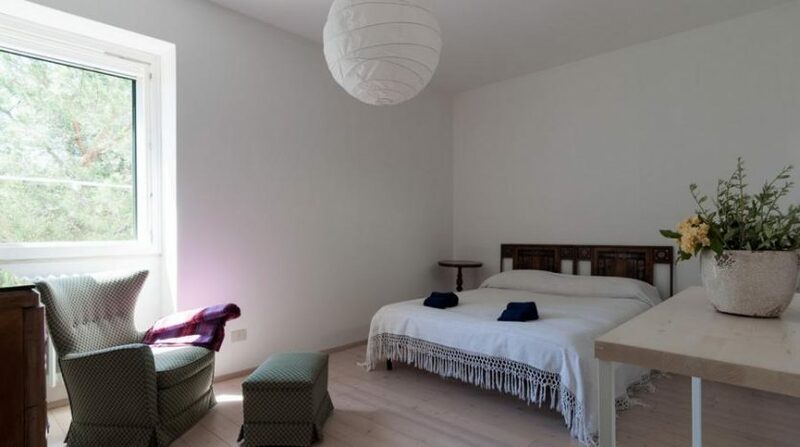 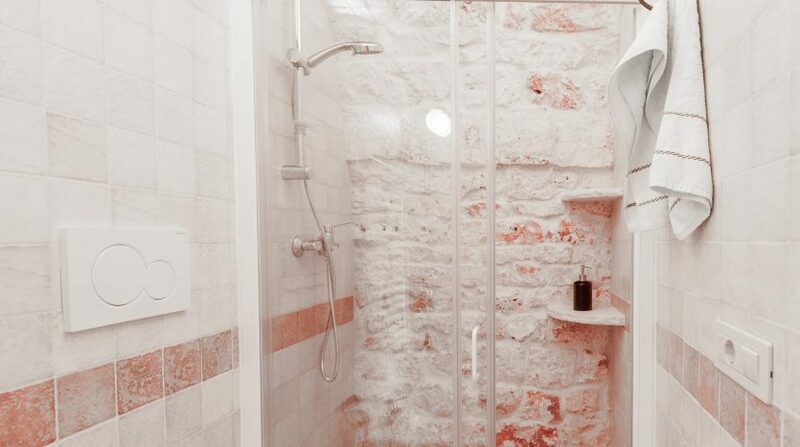 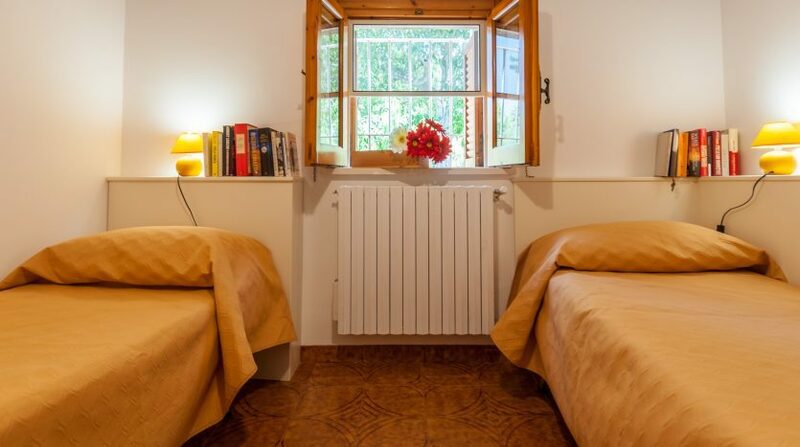 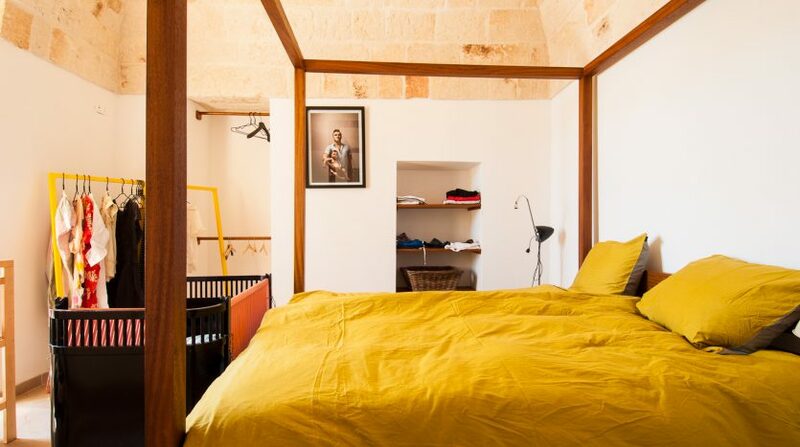 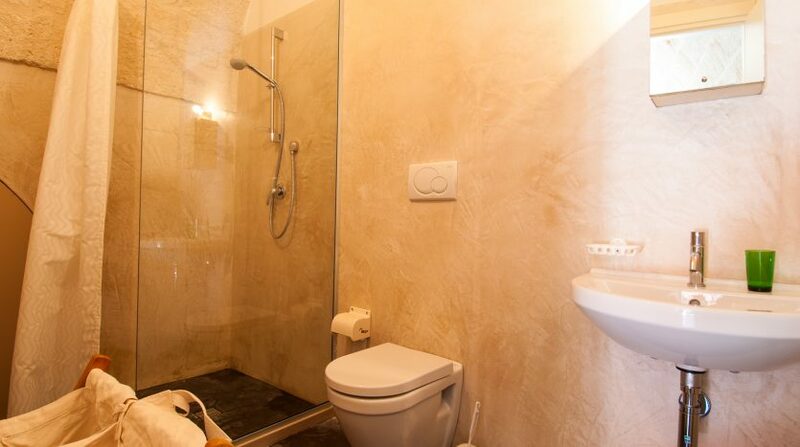 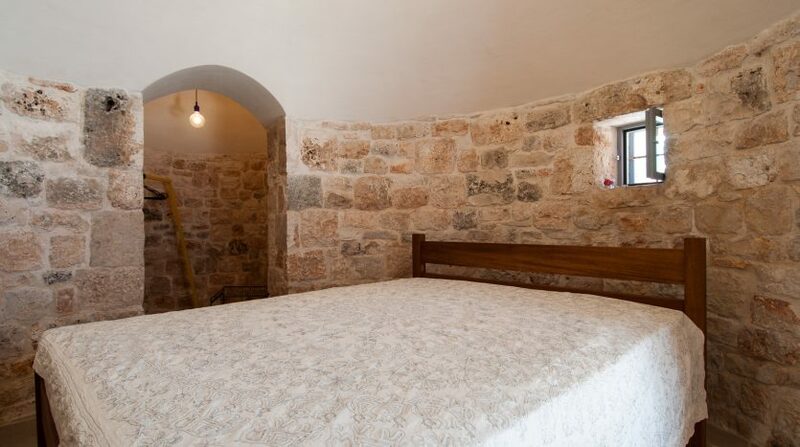 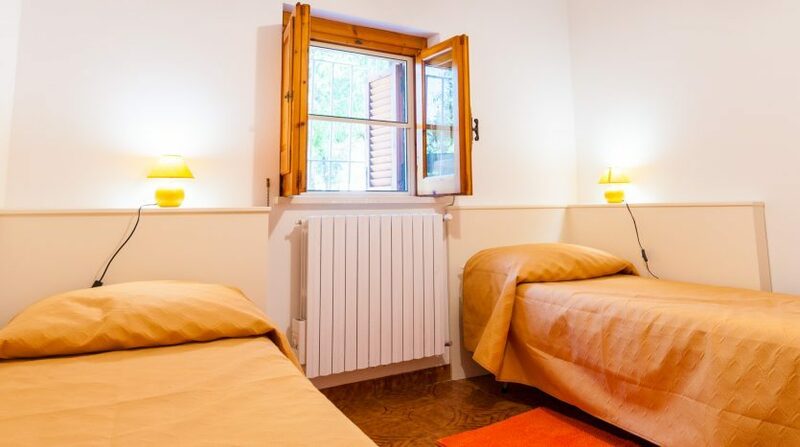 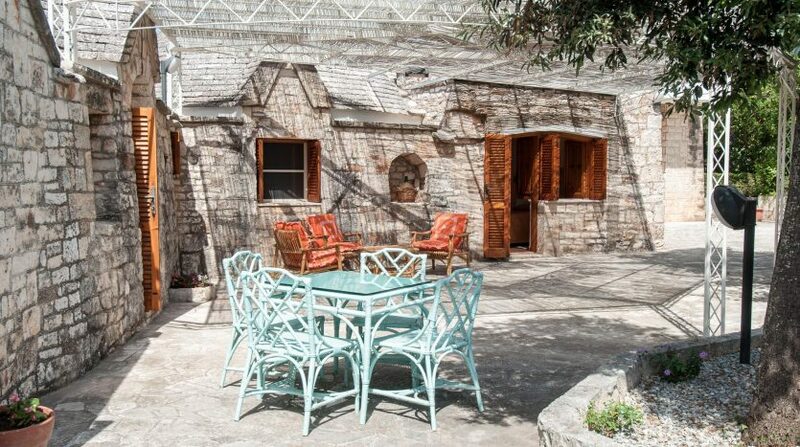 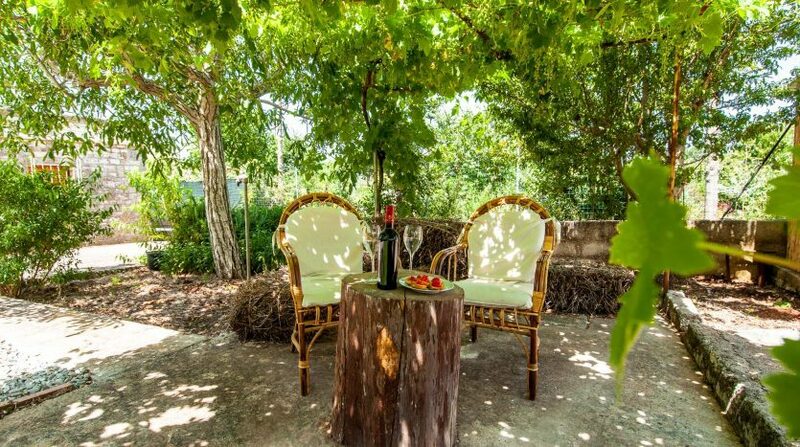 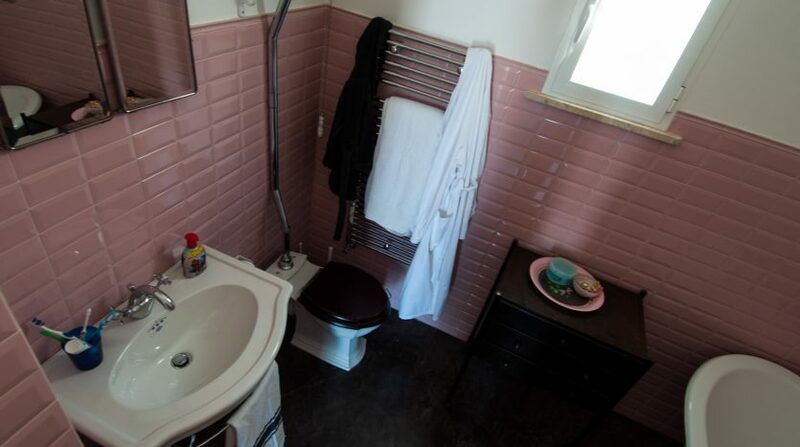 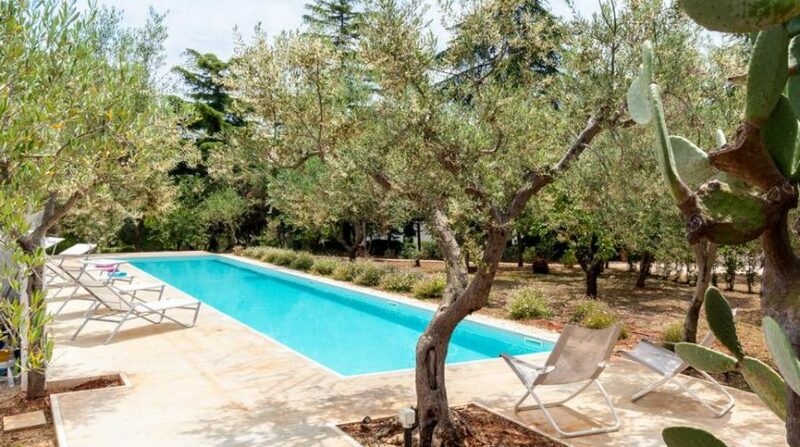 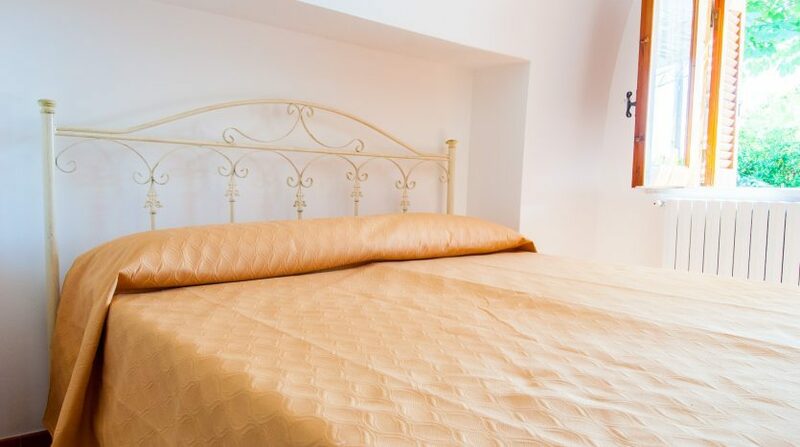 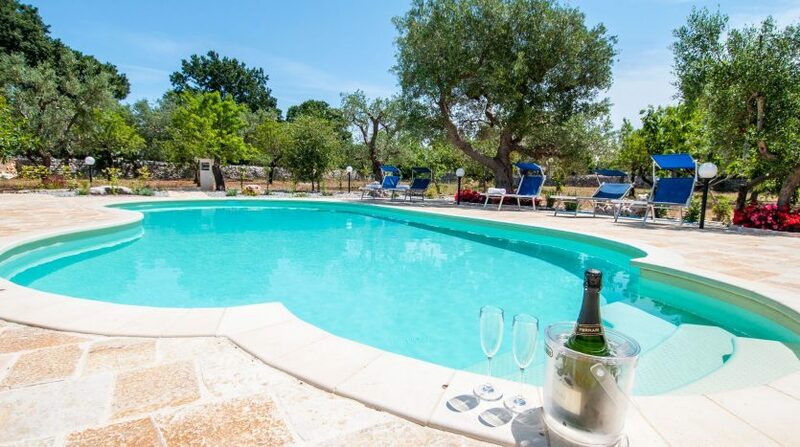 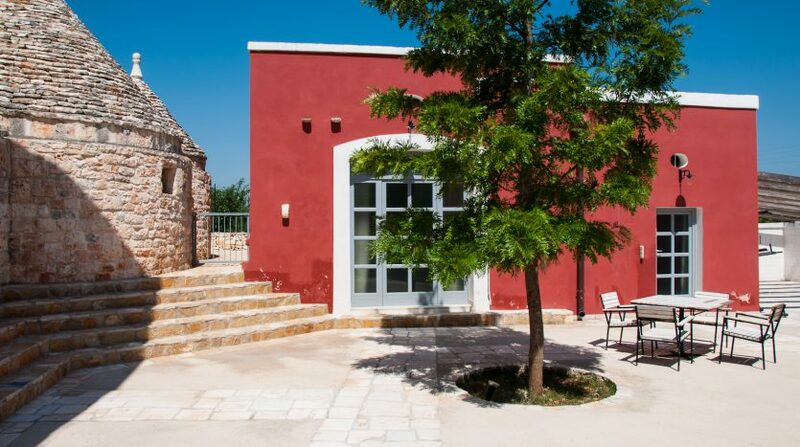 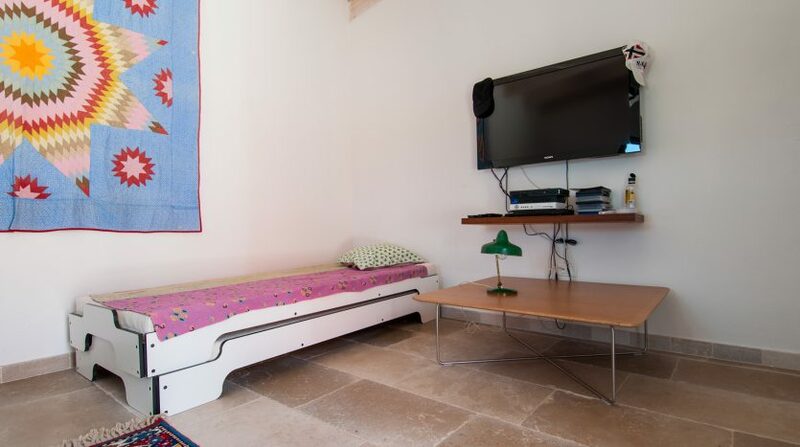 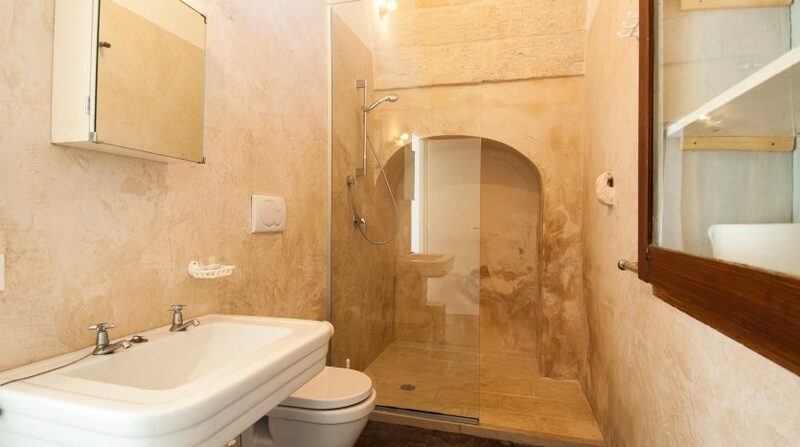 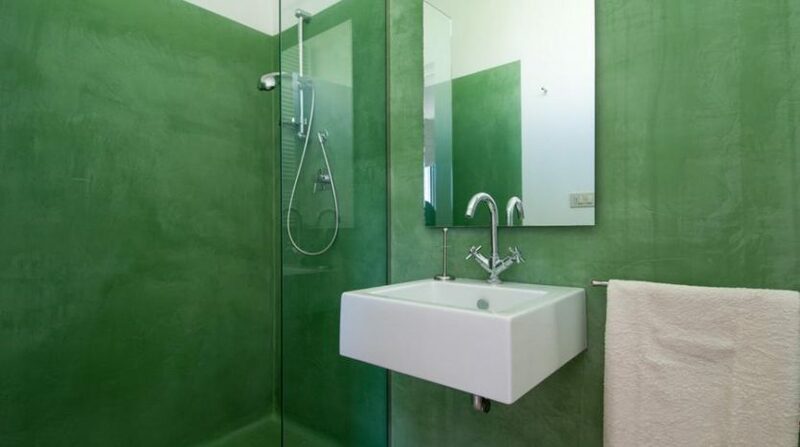 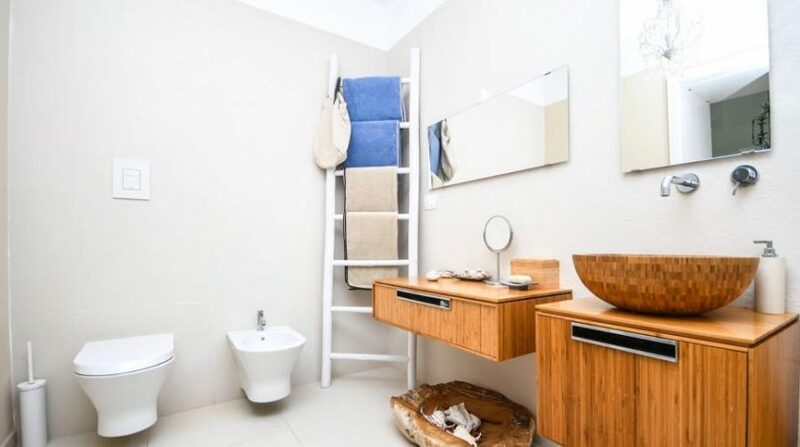 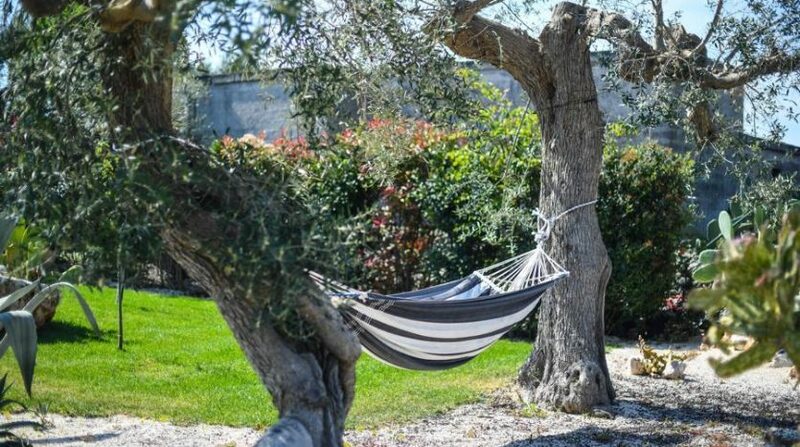 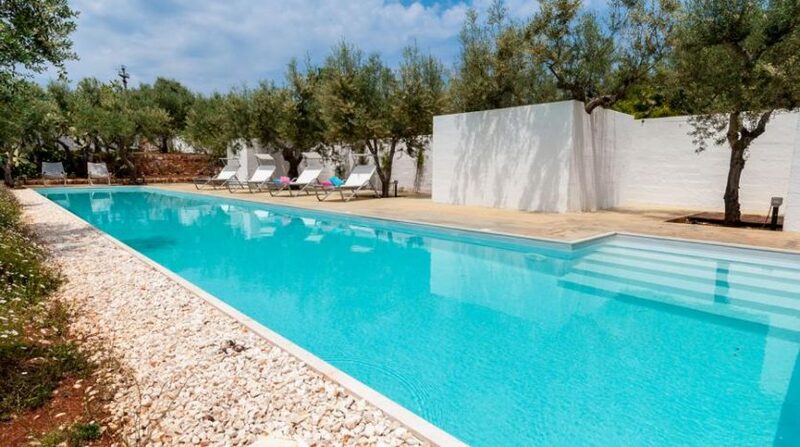 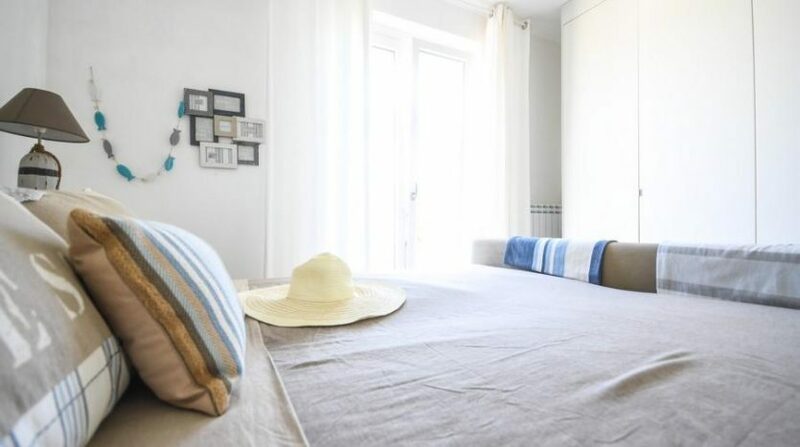 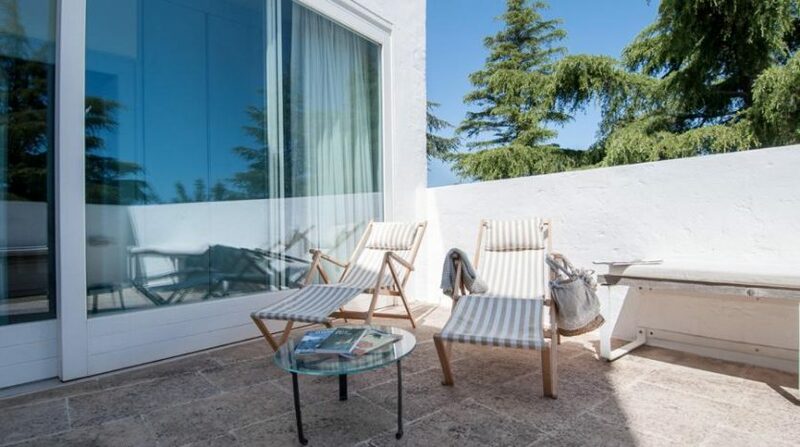 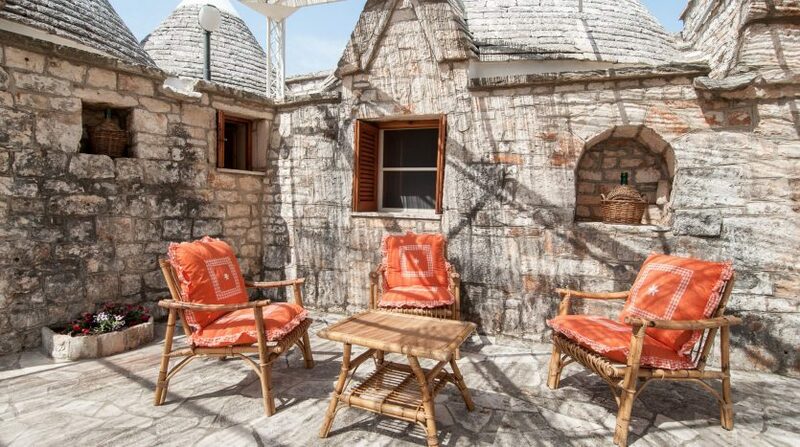 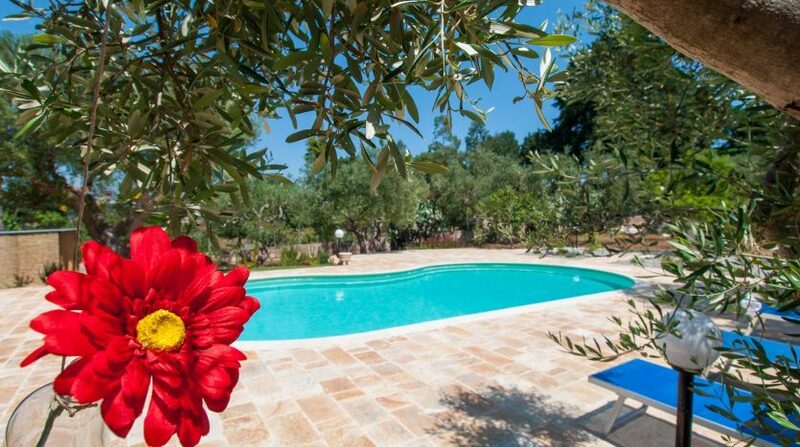 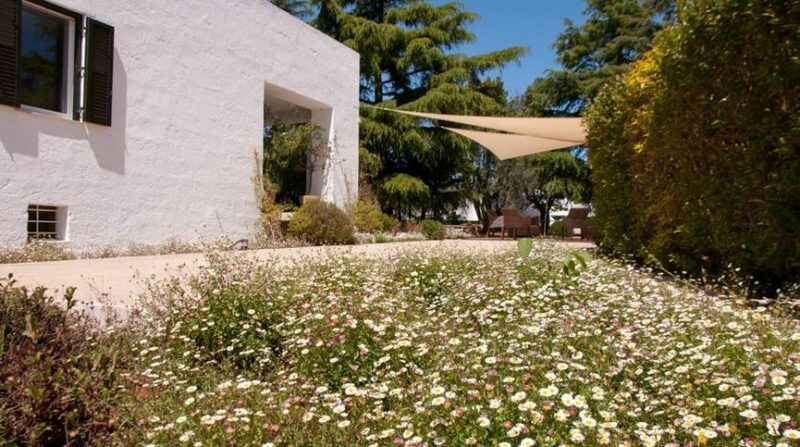 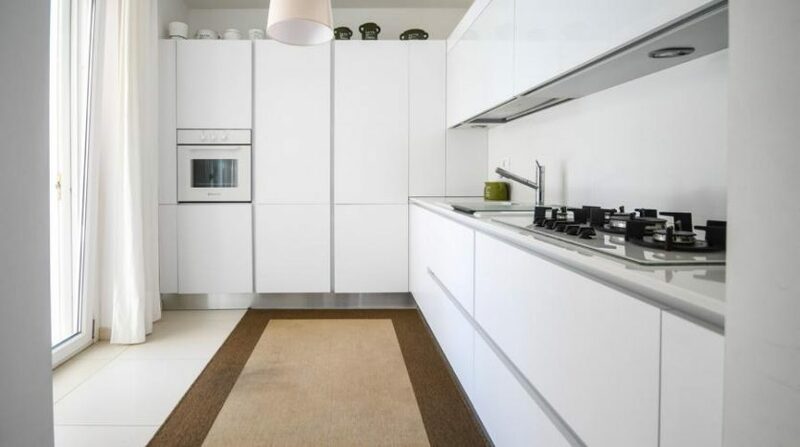 The nearby Trullo consists of a bedroom, an alcove for the wardrobe and a bathroom with shower. 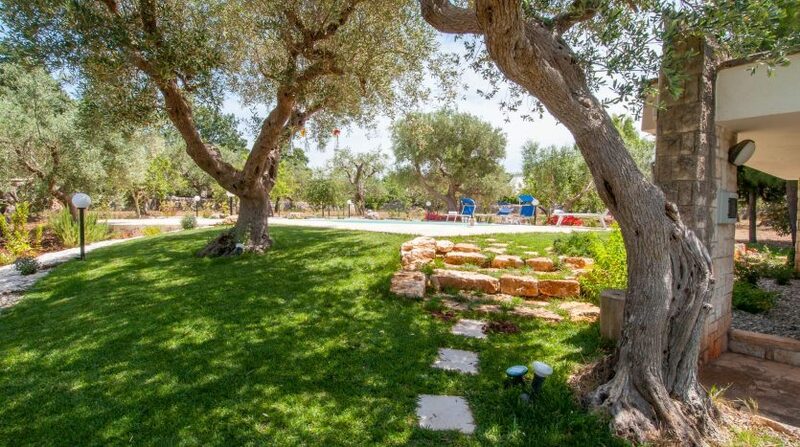 The third accommodation facility is the Lamia, where you will find a modern relaxation room equipped for leisure time with TV, consoles and games for all ages. 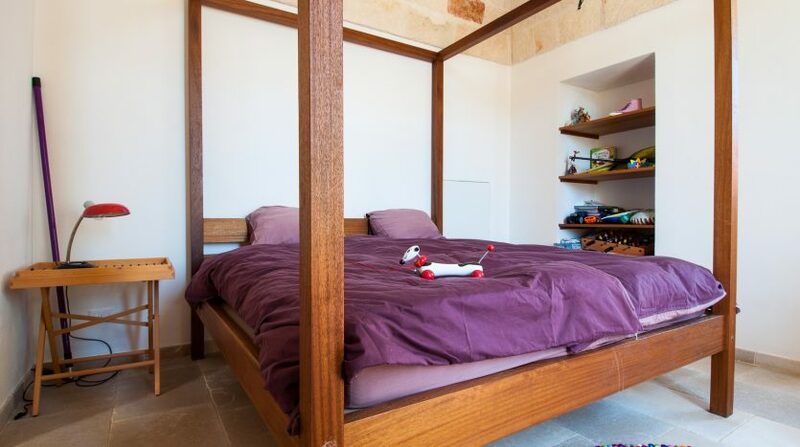 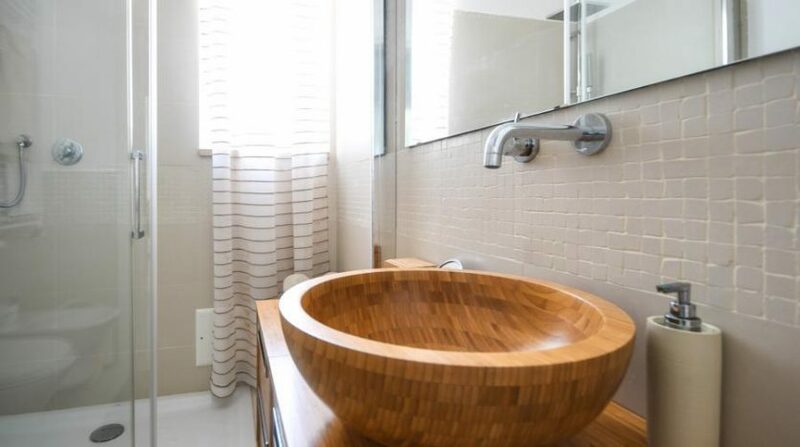 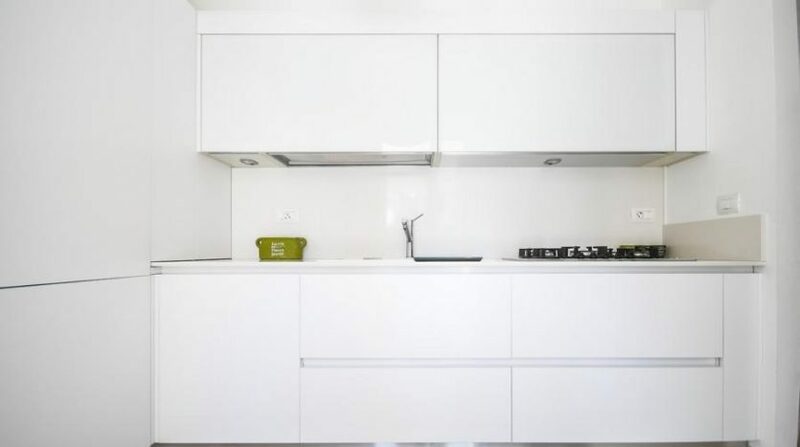 It can accommodate up to 6 beds. 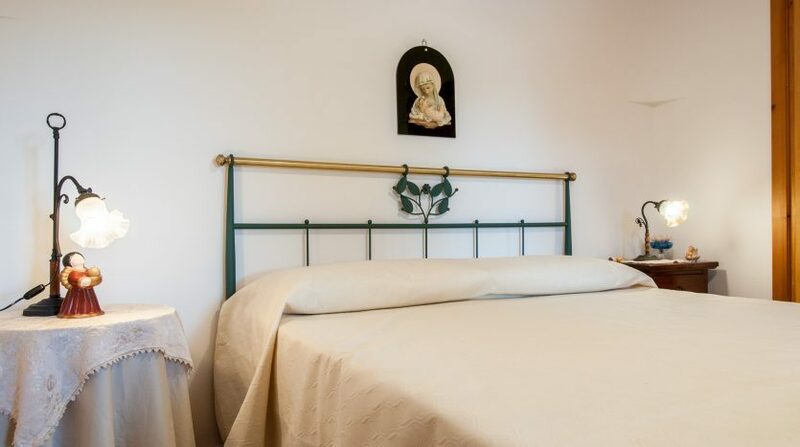 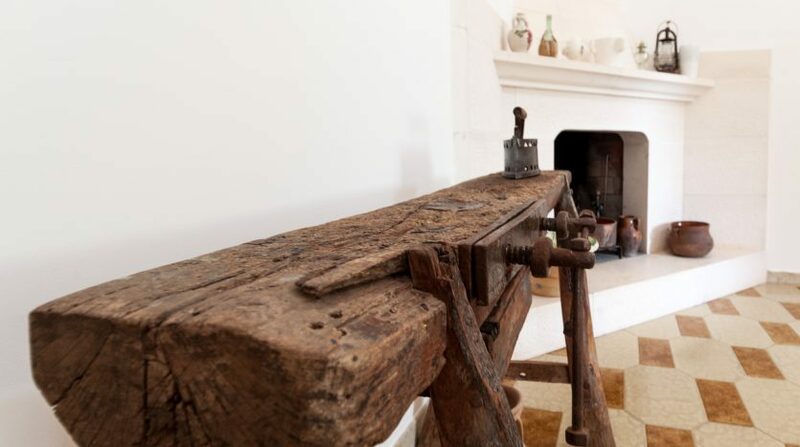 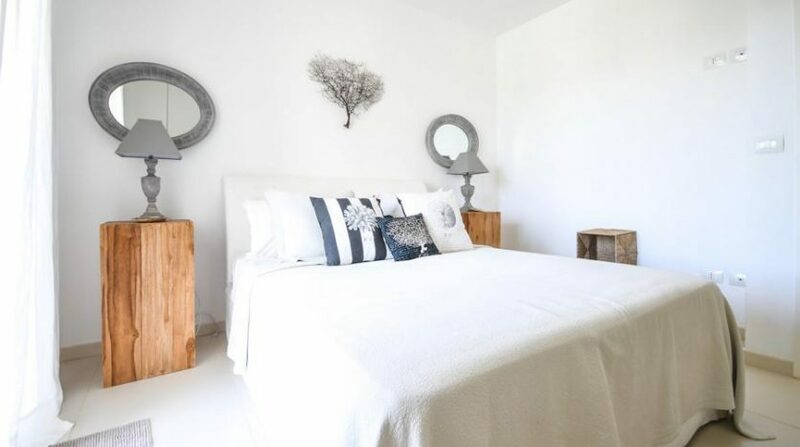 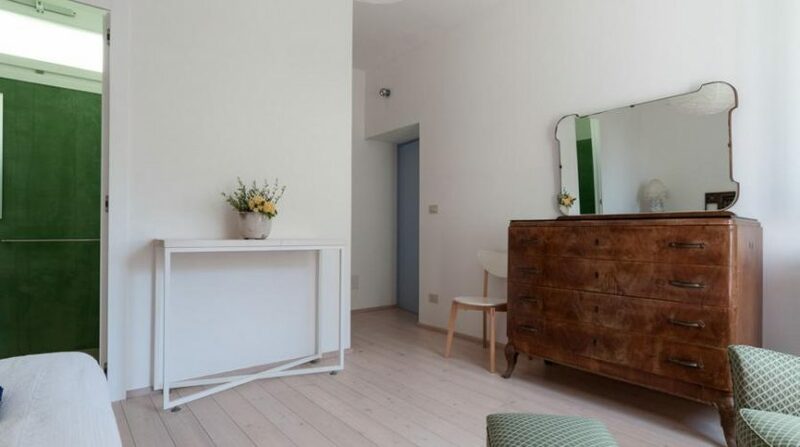 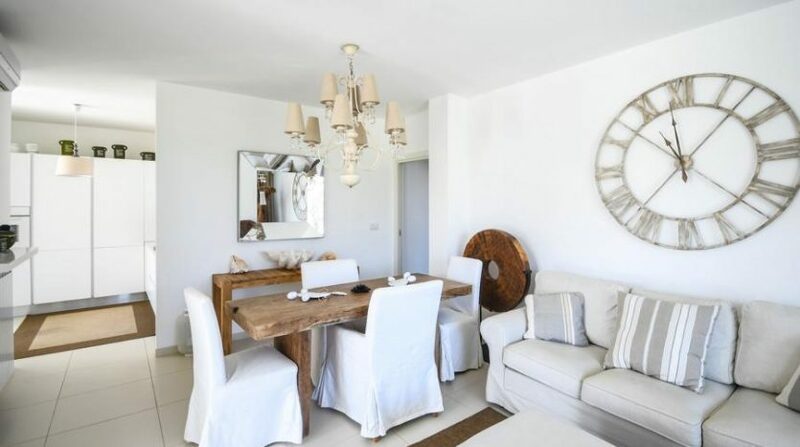 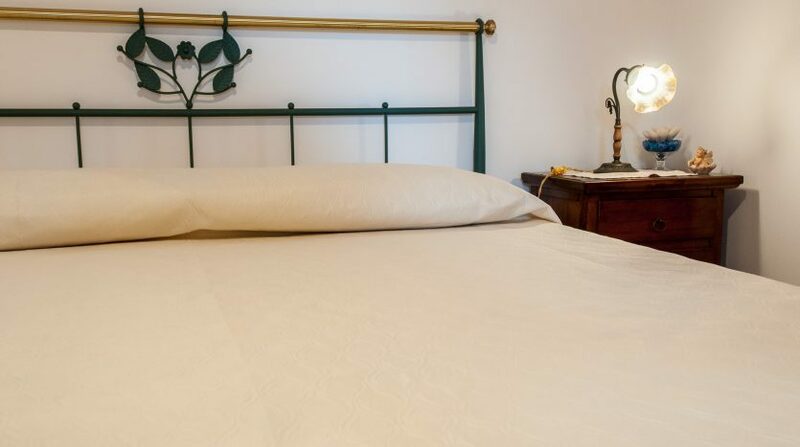 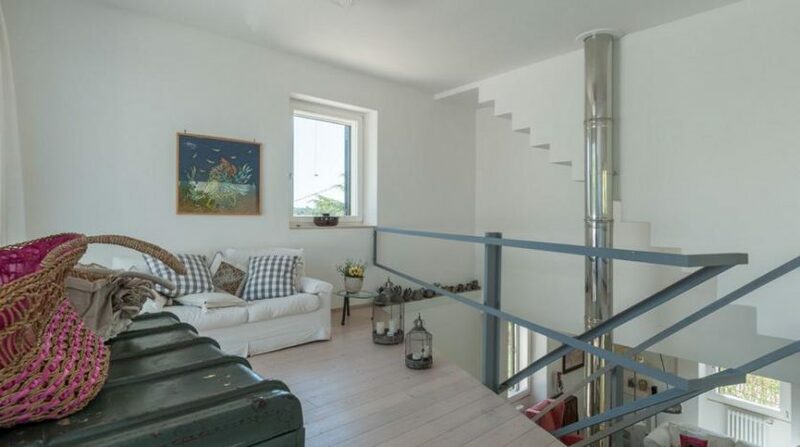 The last area is composed of 3 former stables beautifully renovated and converted into three cosy double bedrooms, each of which with have an ensuite bathroom with shower. 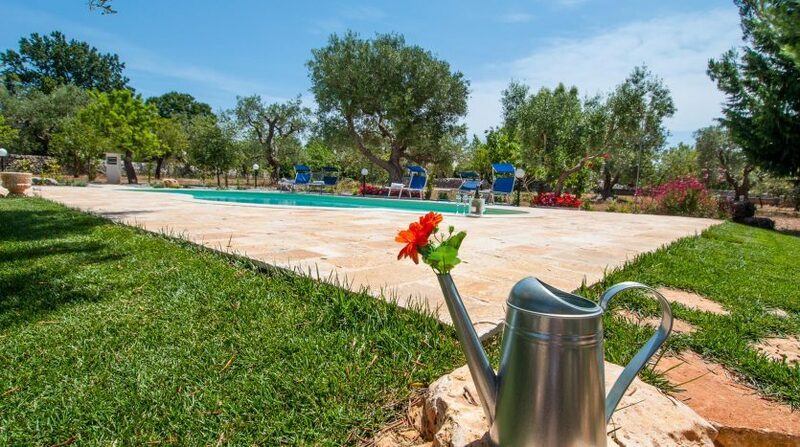 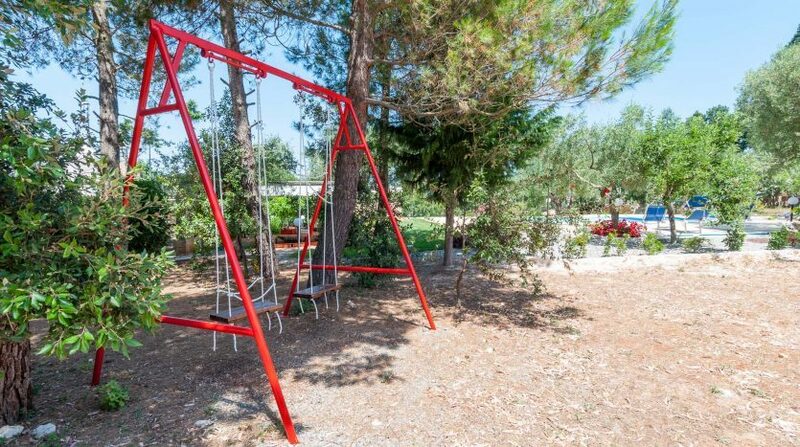 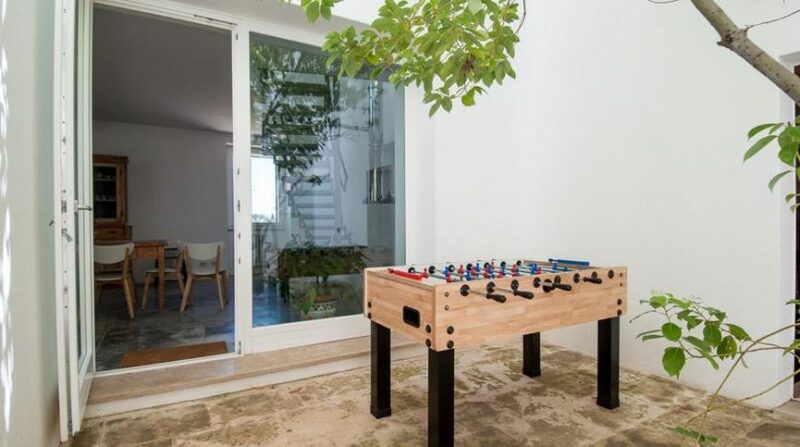 Outside, the different residential units are surrounded by a lawned garden embellished by the Mediterranean vegetation and vintage outdoor furniture in 70’s Rimini style. 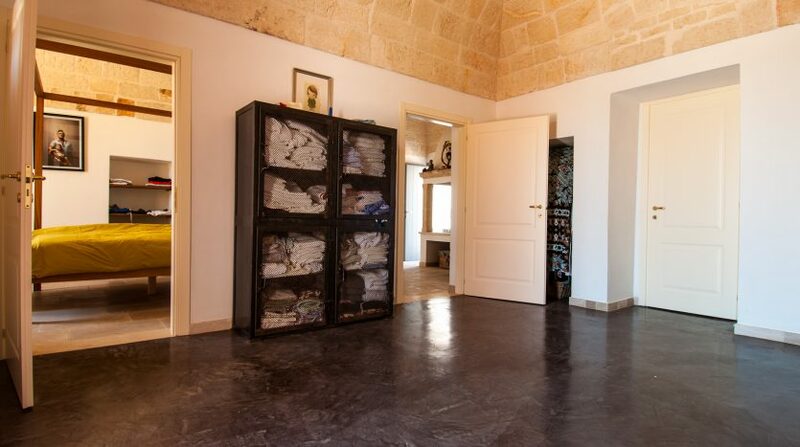 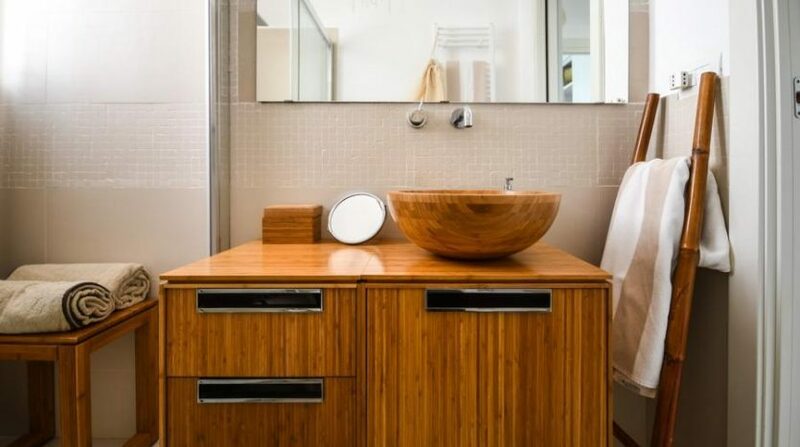 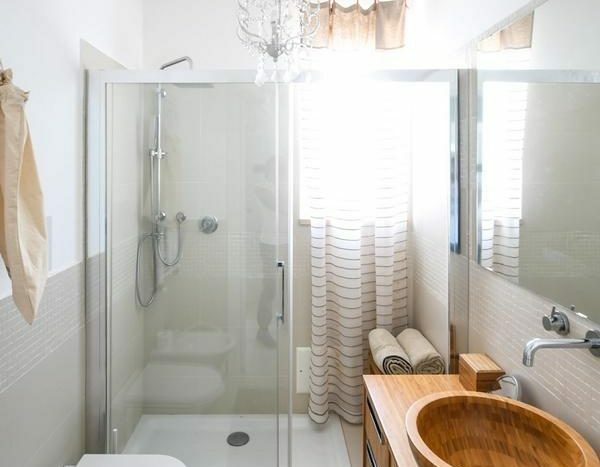 The spacious dressing room, a bathroom with two outdoor showers, the laundry area and a storage room, help to enhance the comfort of the villa outside. 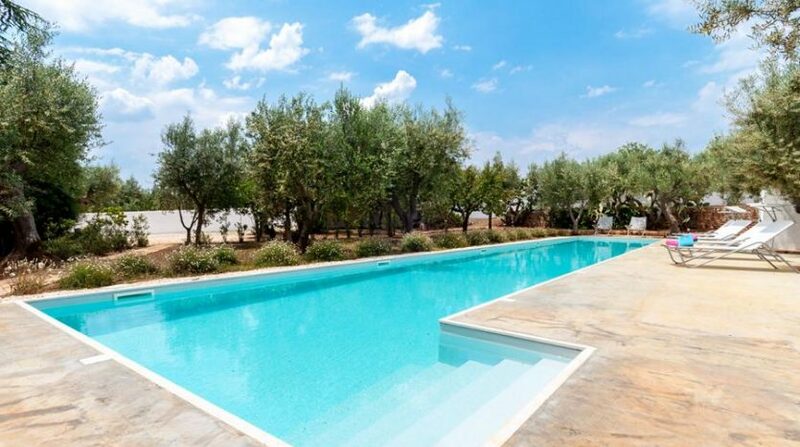 Among the principle virtues of the house, there is a large infinity pool surrounded by an area which has all the necessary furniture to enjoy it fully, as well as being safe, as it is equipped with an alarm sensor for children. 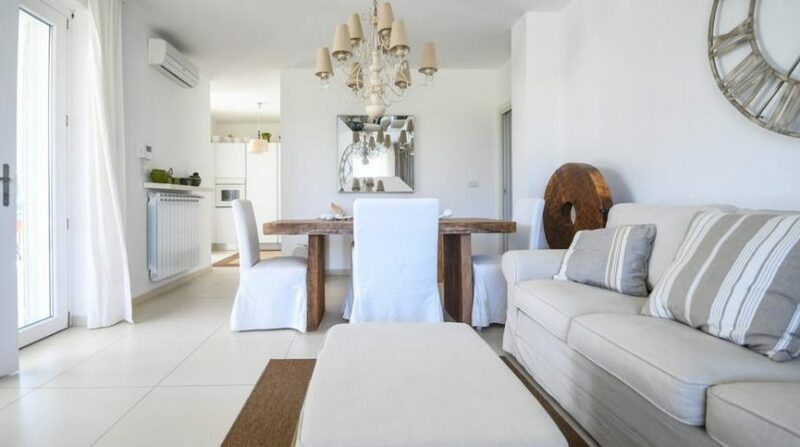 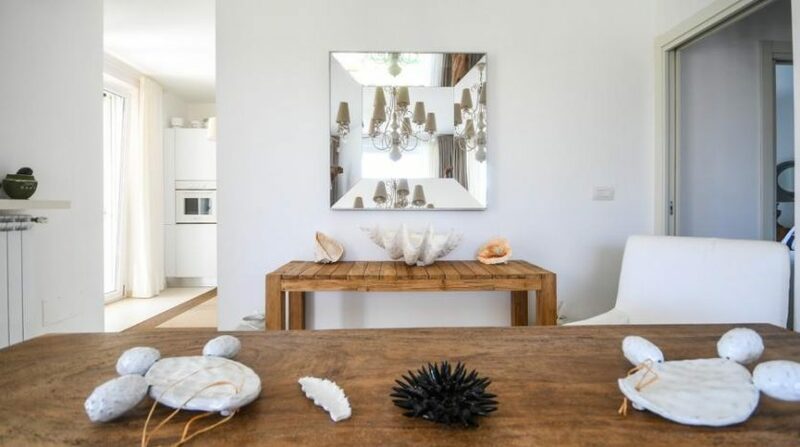 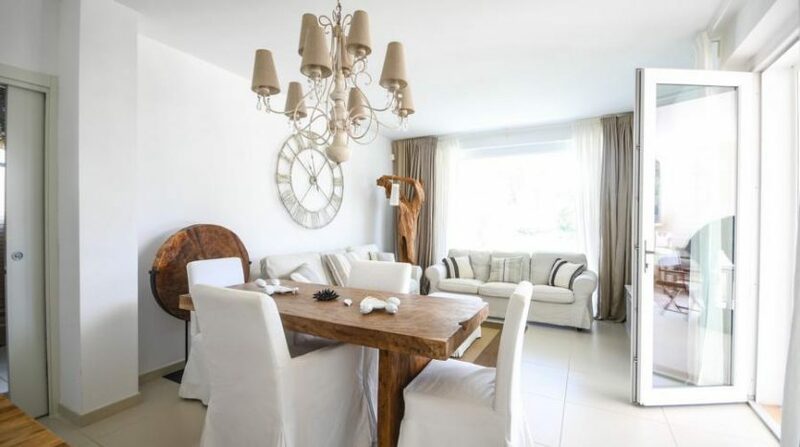 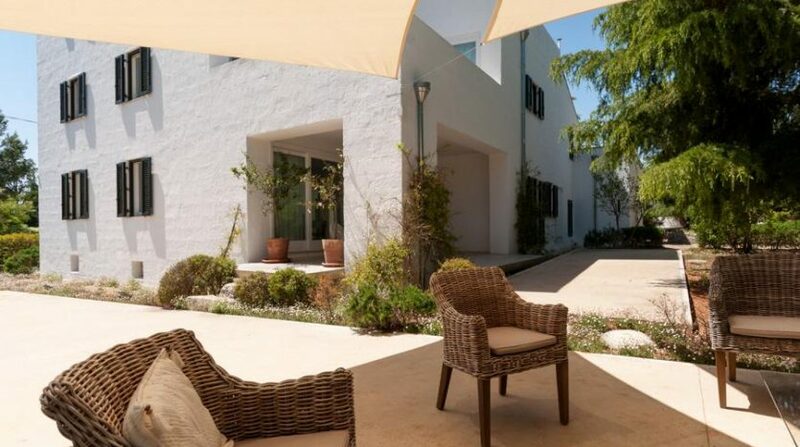 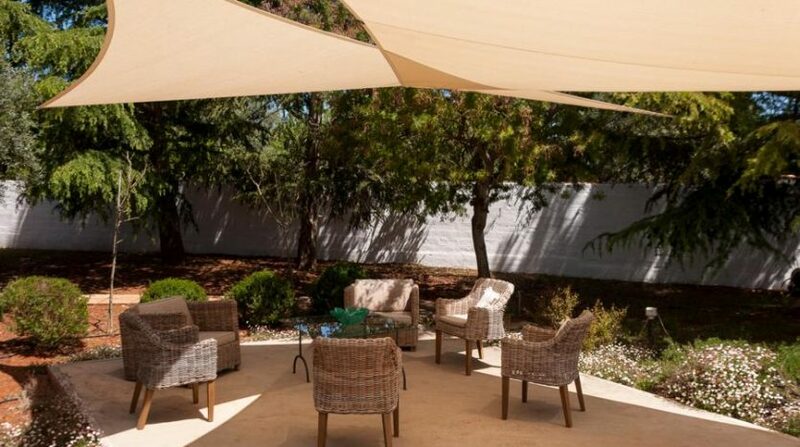 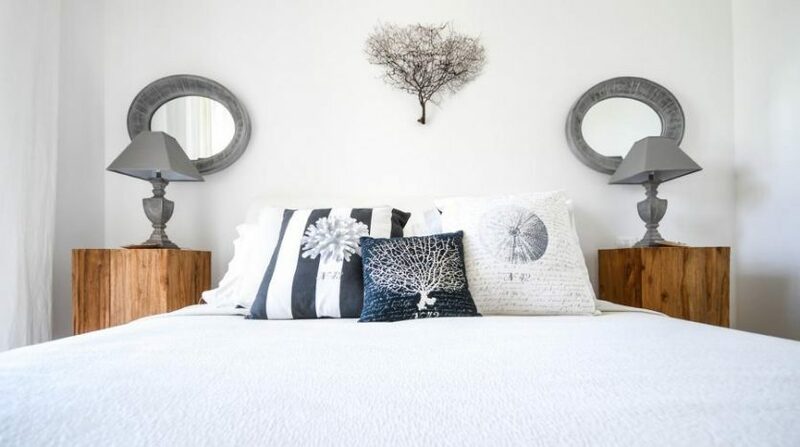 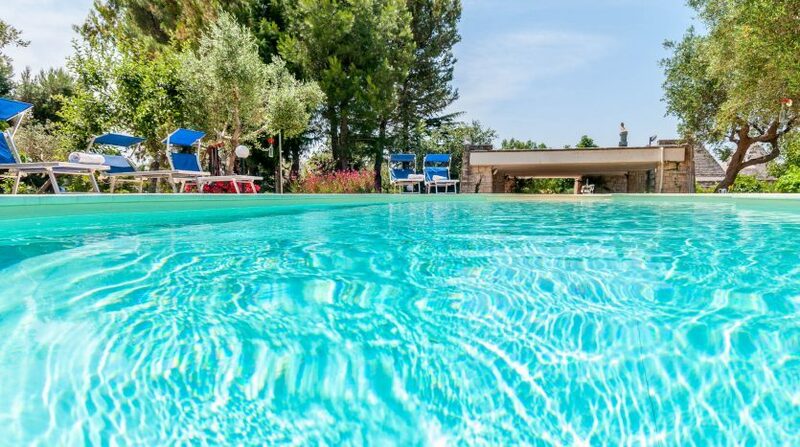 Villa Barbara is ideal for those who are looking for an exclusive and relaxing holiday in a very chic property, which can offer absolute privacy thanks to the high perimeter wall that surrounds the entire complex. 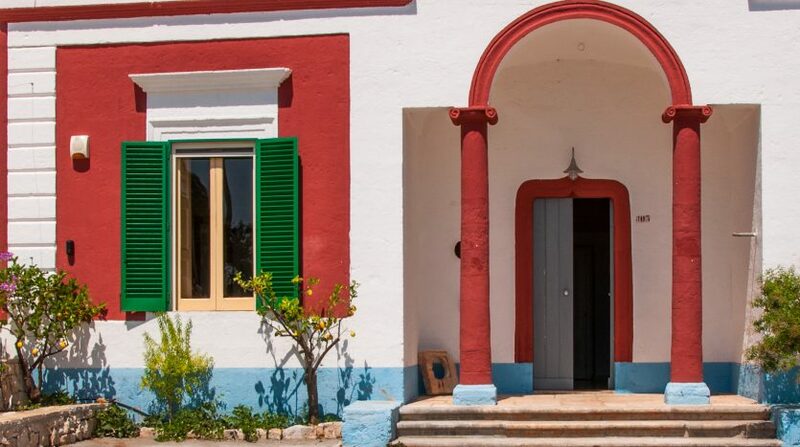 Our 4-legged friends are welcome in this villa with prior authorisation from the booking office.